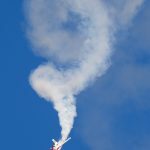 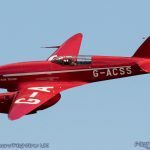 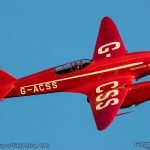 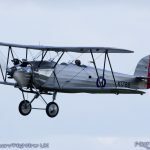 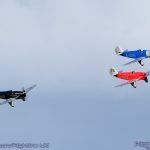 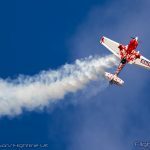 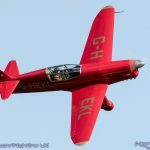 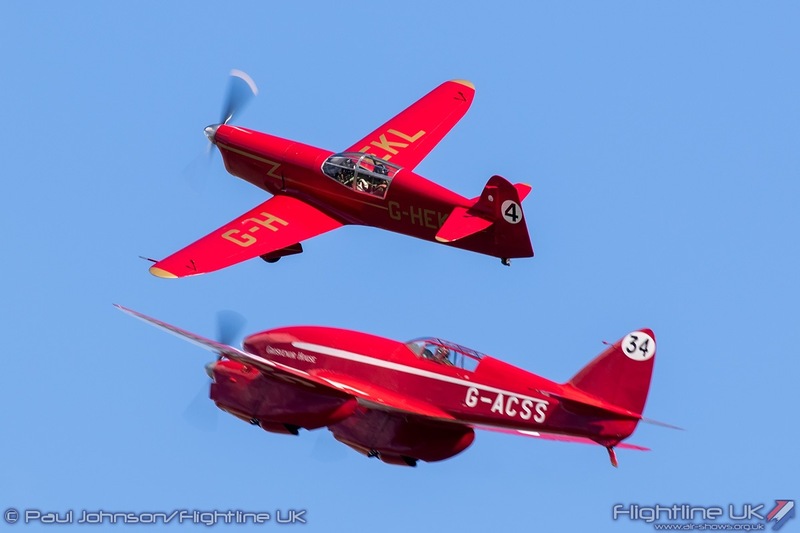 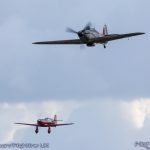 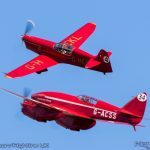 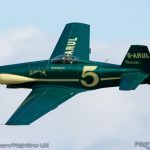 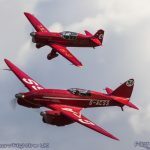 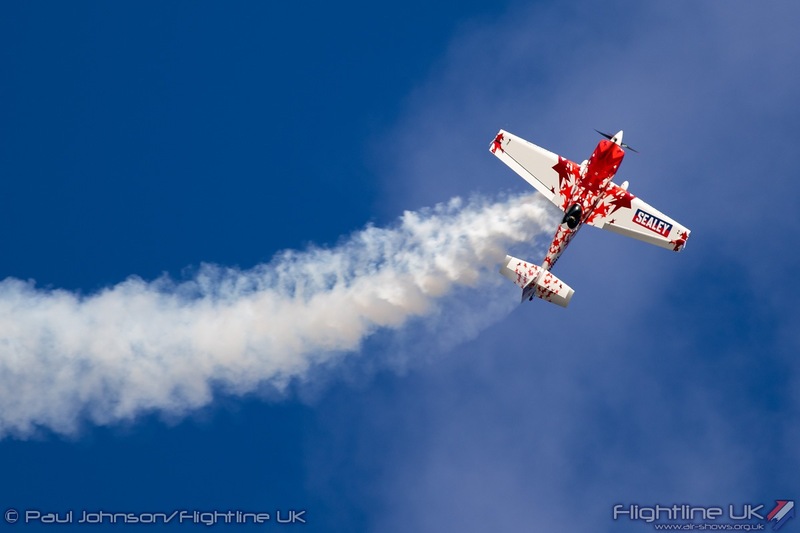 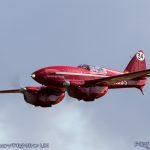 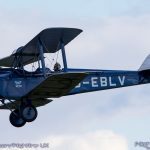 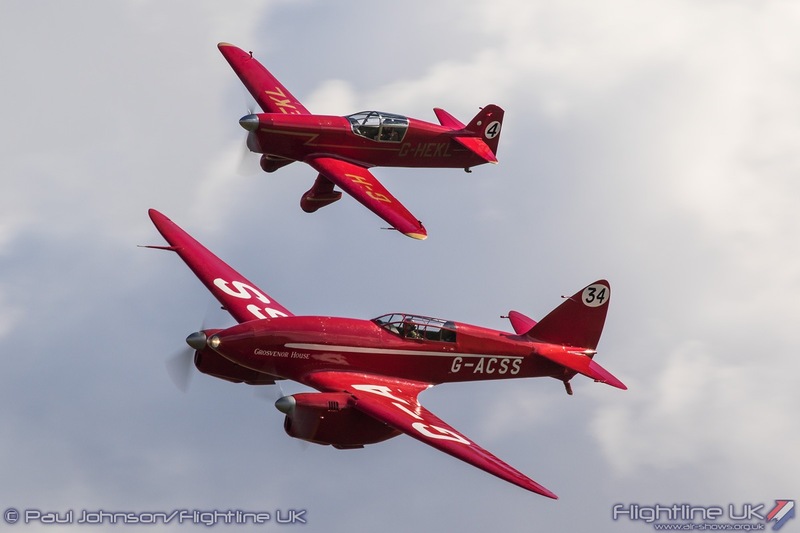 The Shuttleworth Collection closed the UK Air Display Season with their Race Day and Roaring Twenties Airshow. 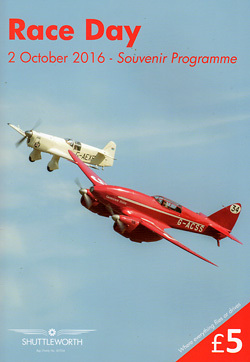 The event built on previous “Race Days” by celebrating Richard Shuttleworth’s passion for Racing Cars and Aeroplanes. 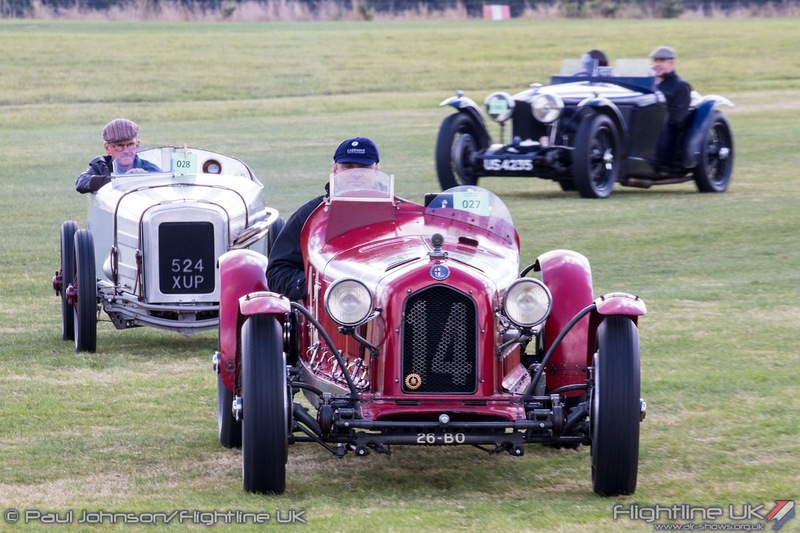 The Collection’s own aircraft were ably supported by a very strong cast of visiting aircraft and also for the first time, historic racing cars. 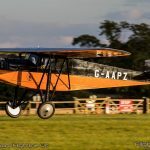 The weather also got in the spirit of the event with some lovely autumnal sunshine lighting up the beautiful Old Warden Aerodrome. 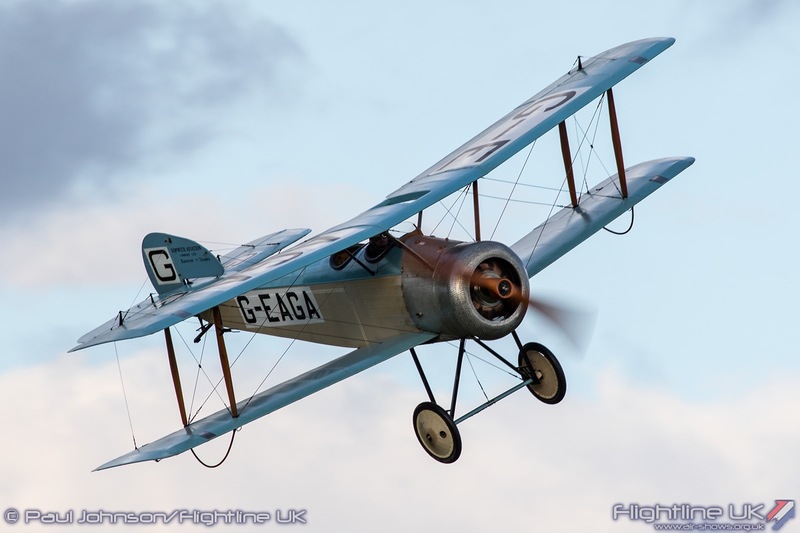 The Shuttleworth Collection owes its existence to Richard Shuttleworth and his mother Dorothy. 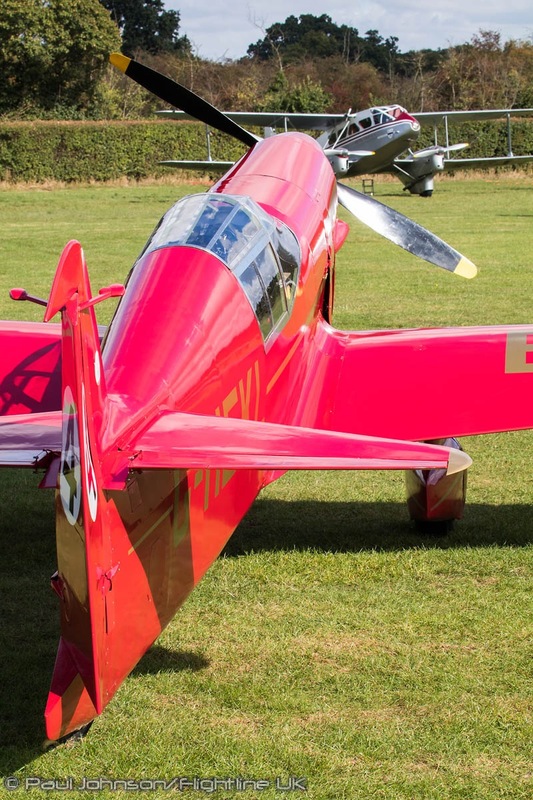 Richard developed an immense passion for speed and machinery during the 1920’s and 1930’s building up a superb collection of cars and aeroplanes. 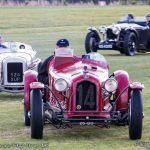 He notably won International Donington Grand Prix Car Race at Donington Park in 1935, driving his Alfa Romeo Monoposto. 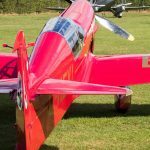 Injured in a motor racing accident in South Africa, he turned his interests to classic aeroplanes restoring them at Old Warden. 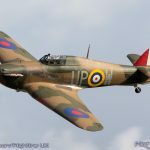 When war broke out in 1939, Richard enlisted into the Royal Air Force but was killed the following year in a flying accident flying a Fairey Battle. 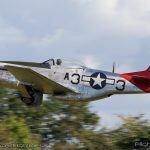 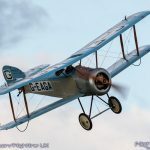 His incredible collection survived thanks to his mother Dorothy keeping his passion for old vehicles and aircraft alive by preserving his Collection at Old Warden and providing the basis for the Shuttleworth Collection we all love today. 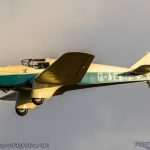 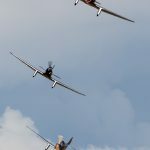 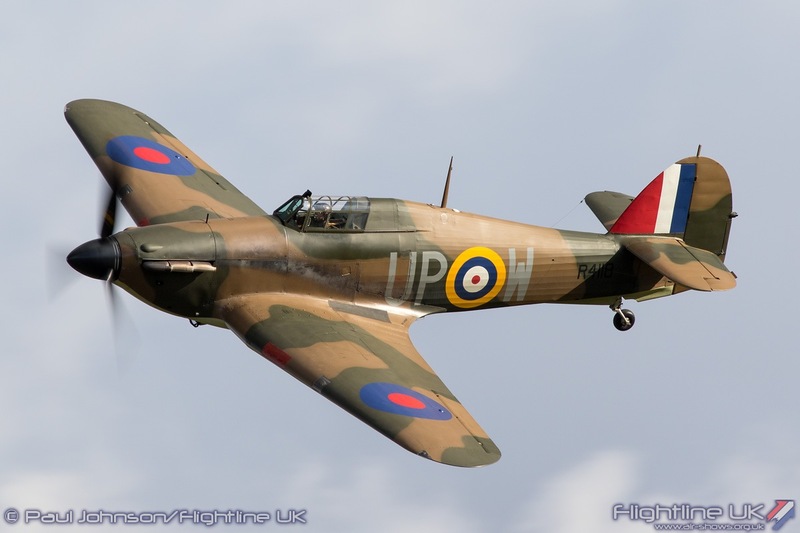 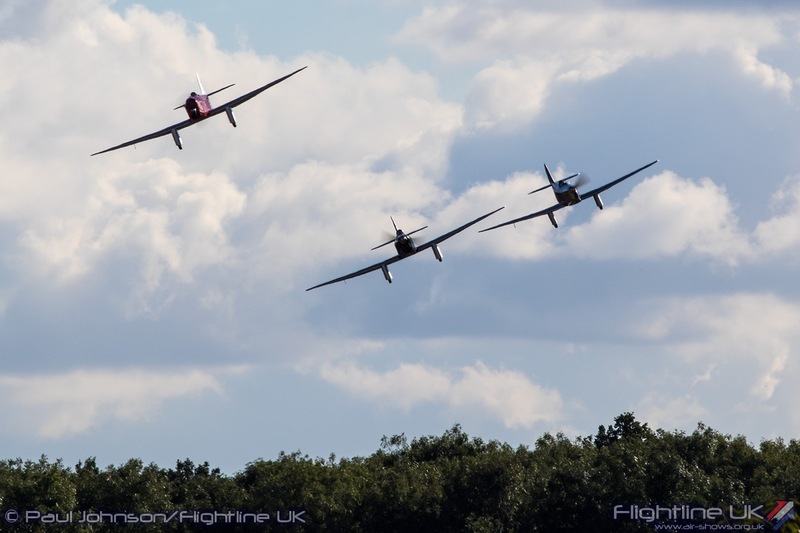 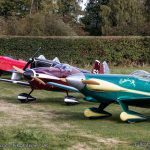 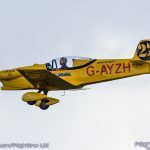 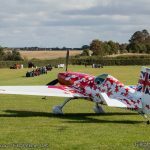 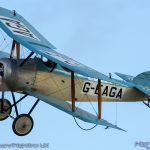 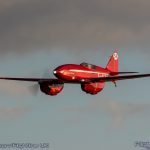 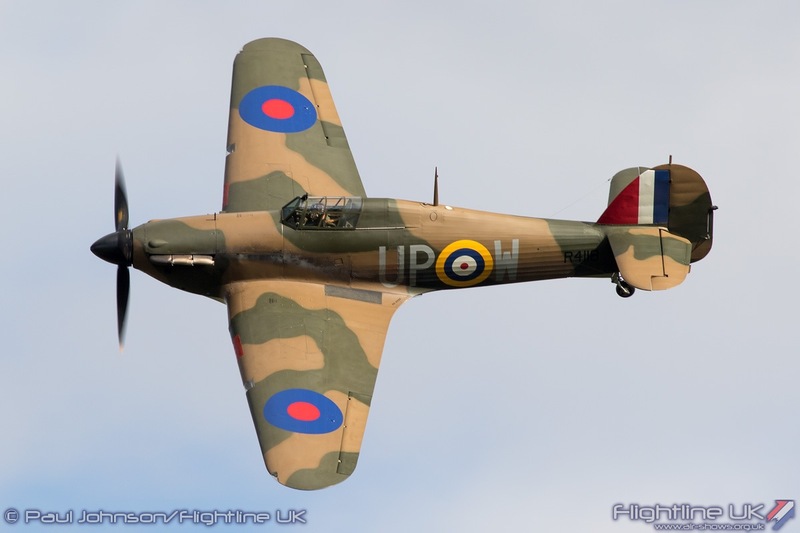 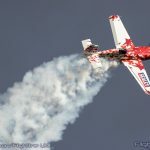 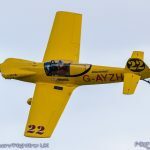 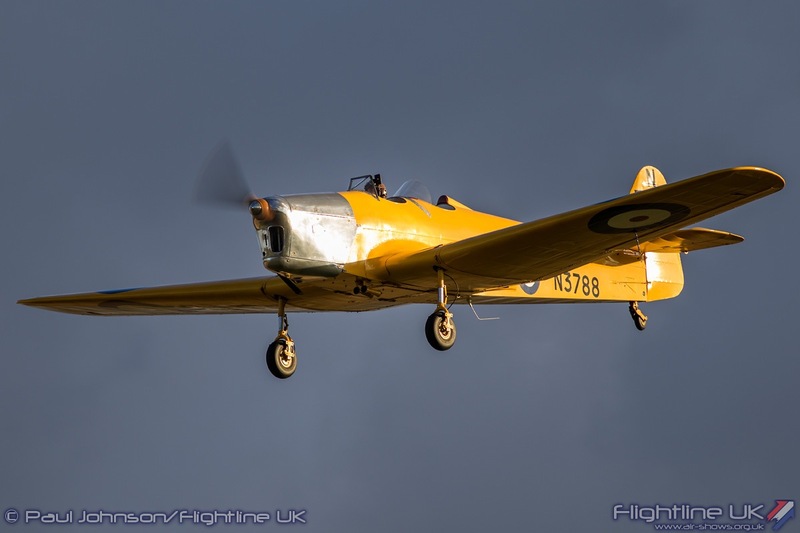 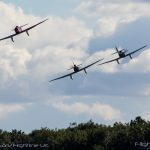 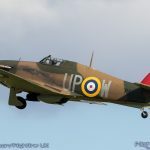 The Shuttleworth Collection’s Season Finale celebrating Richard’s passion for racing both in the air and on the ground. 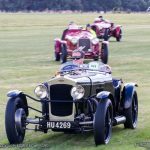 Motorsport was celebrated throughout the paddock with a collection of classic cars supported by a display from Santa Pod Raceway. 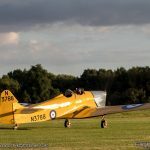 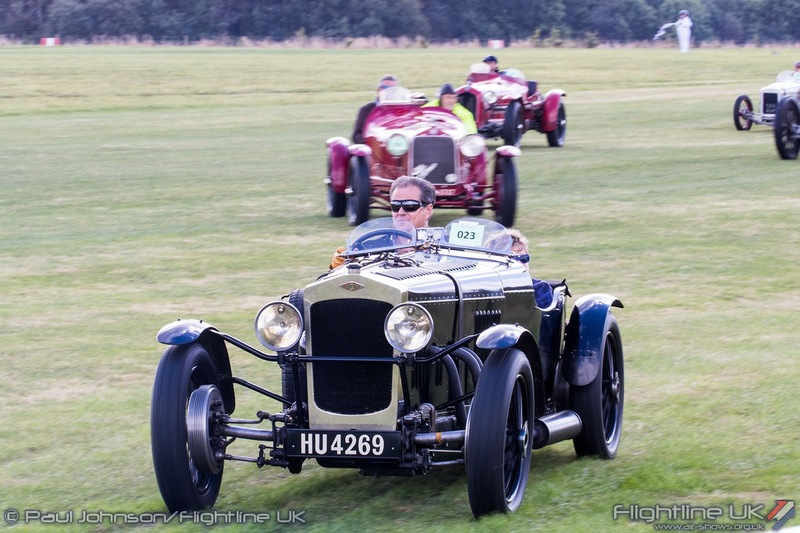 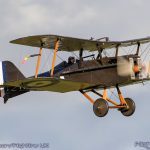 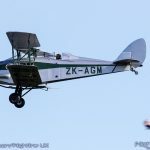 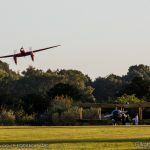 However, as with everything in the Shuttleworth Collection, the celebration also involved living history and a huge collection of historic 1920’s and 1930’s racing cars took part in the inaugural Shuttleworth Sprint down the grass runway. 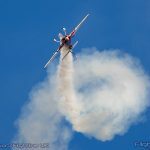 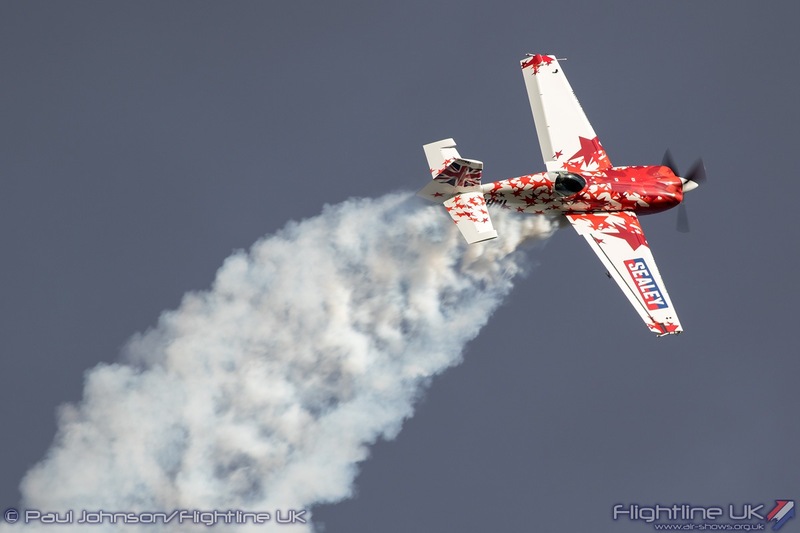 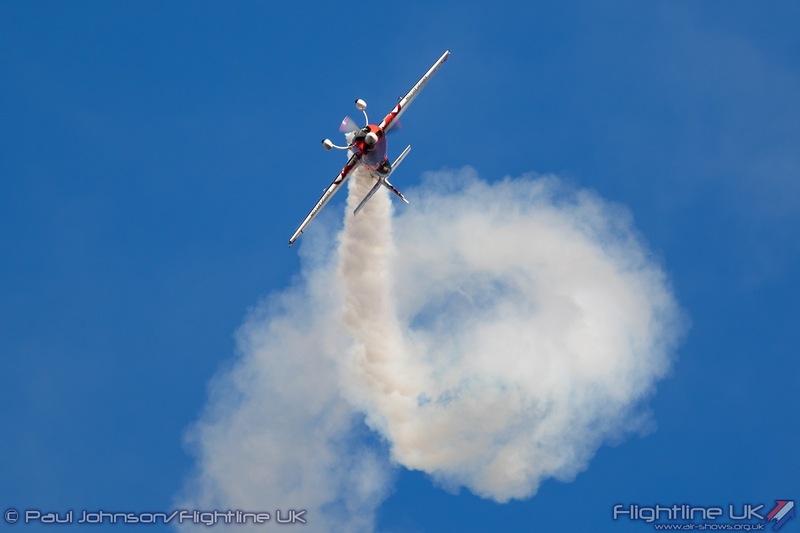 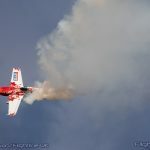 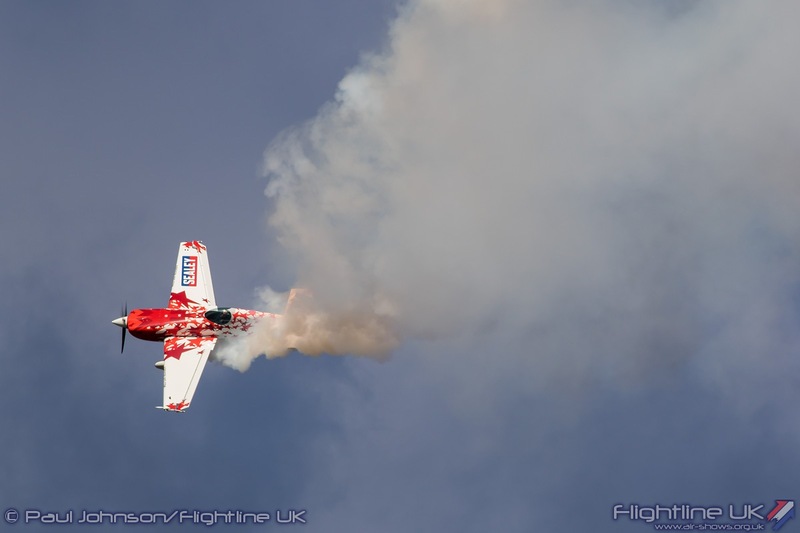 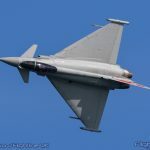 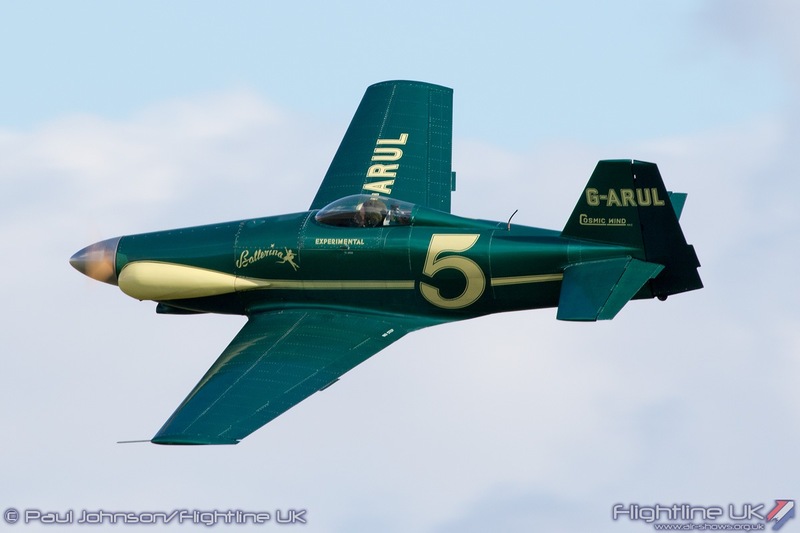 The aviation element of the day celebrated air racing with various set-piece displays. 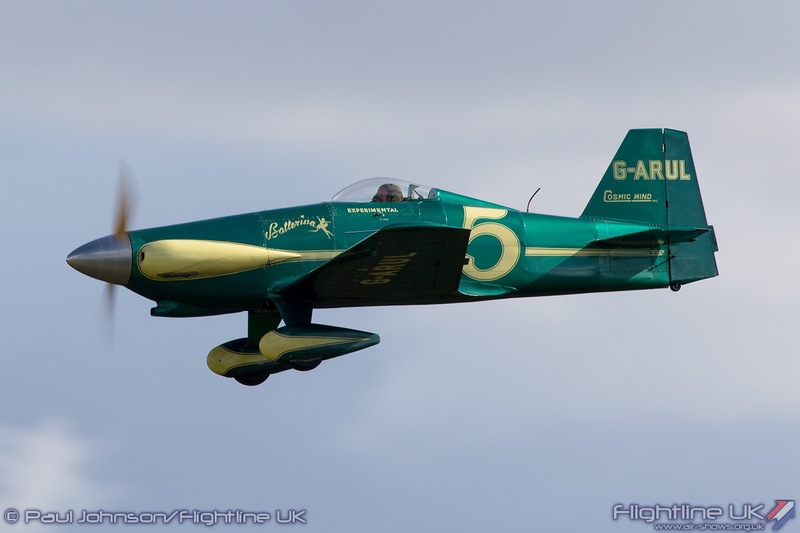 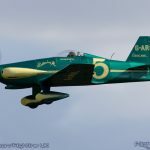 One of the many interesting visiting aircraft was Miles Messenger G-AKBO which won the 1954 King’s Cup Air Race when flown by Harold Wood averaging a speed of 132mph. 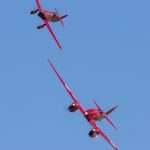 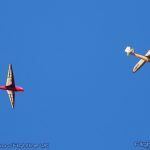 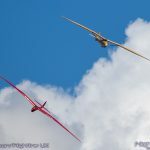 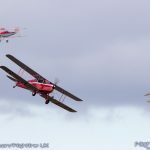 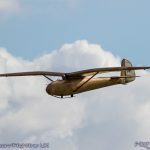 The flying display opened with perhaps the most unlikely circuit air race ever devised involving a trio of vintage gliders. 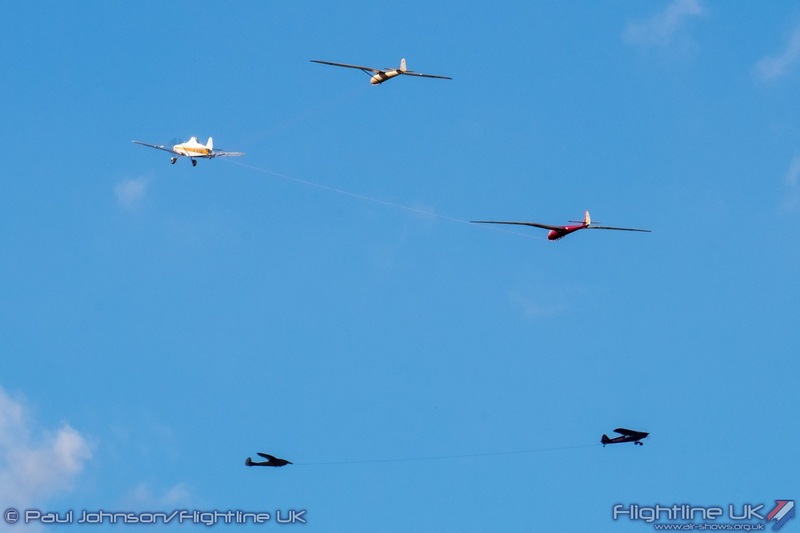 They were towed aloft by the collection’s own Piper Super Cub and Booker Gliding Club’s Piper PA25 Pawnee. 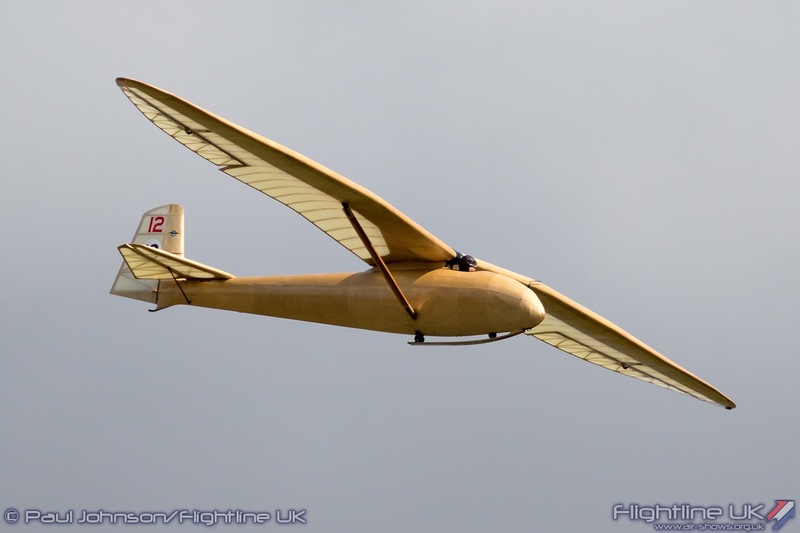 The three gliders involved were the Kirby Kite prototype, the Kirby Kite housed within he collection and the Slingsby Petrel. 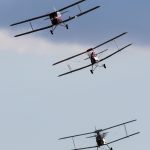 It was a somewhat difficult race to follow, but a very elegant and stylish way to open the flying. 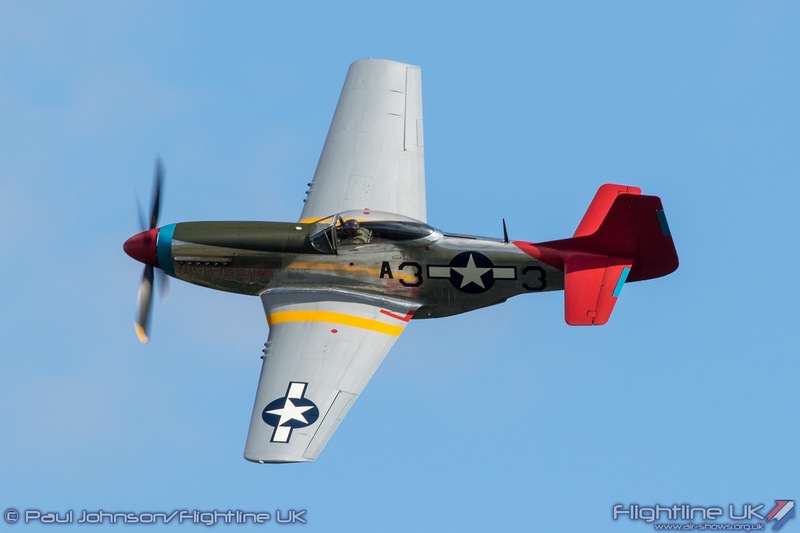 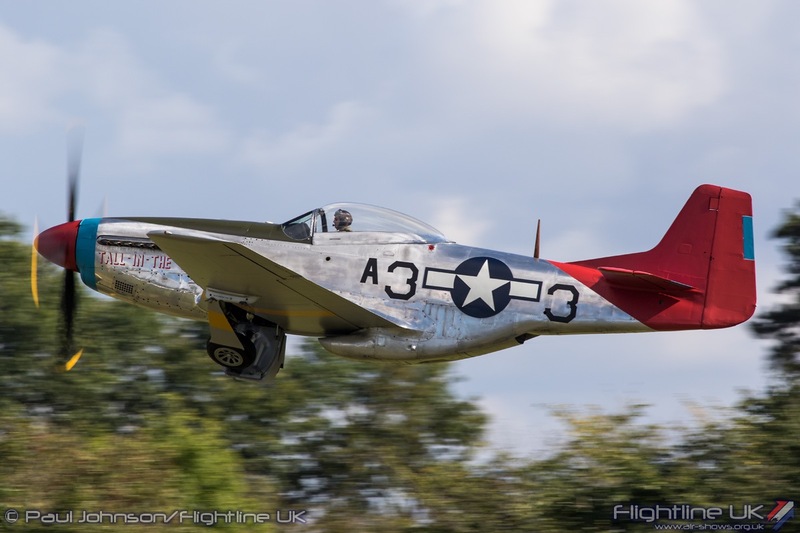 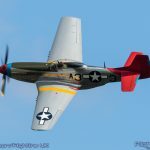 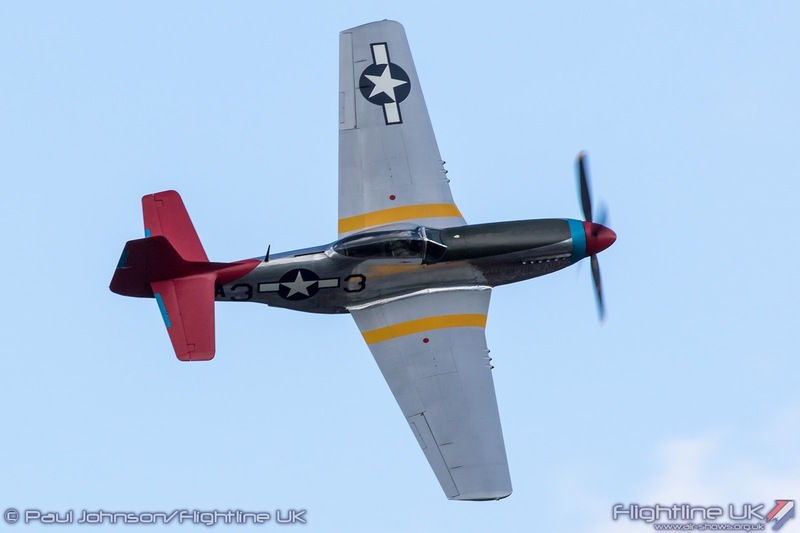 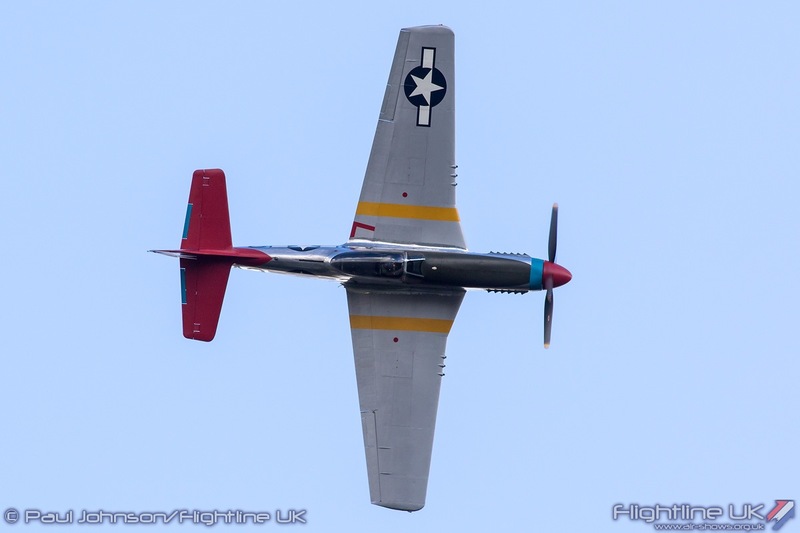 The pace changed totally for the next display with the Hangar 11 Collection’s North American P-51D Mustang ‘Tall in the Saddle.’ The Mustang represented the great unlimited racing aircraft from the Reno Air Races, but the aircraft’s appearance at Old Warden was special because it coincided with the reunion of ‘Tall in the Saddle’ with pilot Lt Col George Hardy. 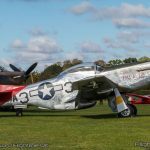 Hardy, who is now 91, served with the 332nd Fighter Group during 1945 when he was just 19 flying 21 missions, mainly escorting formations of bombers. 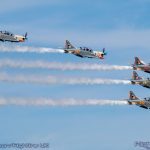 The 332nd, known as “The Tuskagee Airmen,” were the first Afro-Caribbean unit within the US Army Air Force. 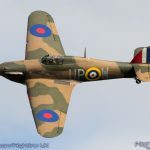 In the face of prejudice, they became one of the USAAF’s most distinguished units never losing a bomber on their missions. 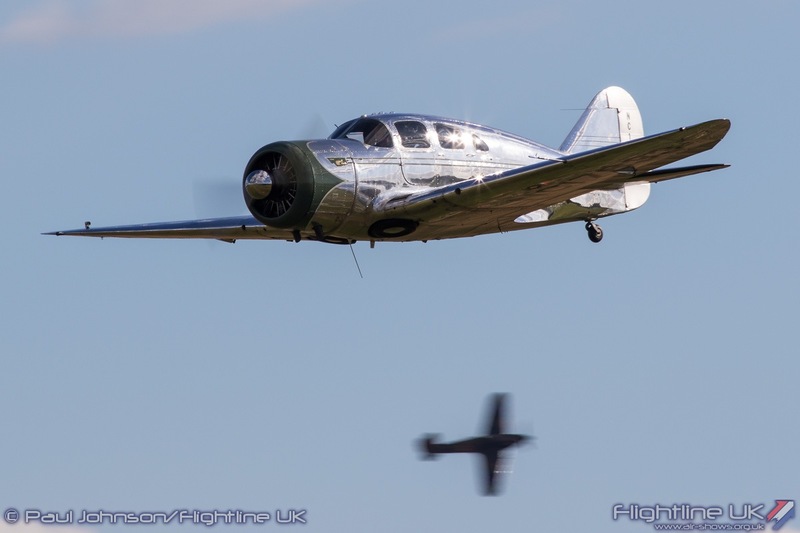 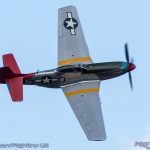 Lt Col George Hardy was tracked down by Hangar 11’s chief pilot Peter Teichman who was delighted to find his was still alive and living in Florida. 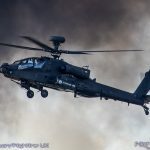 Hardy spent several days visiting Hangar 11 including visits to their base at North Weald and also to the current United States Air Force at RAF Lakenheath. 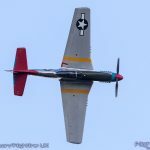 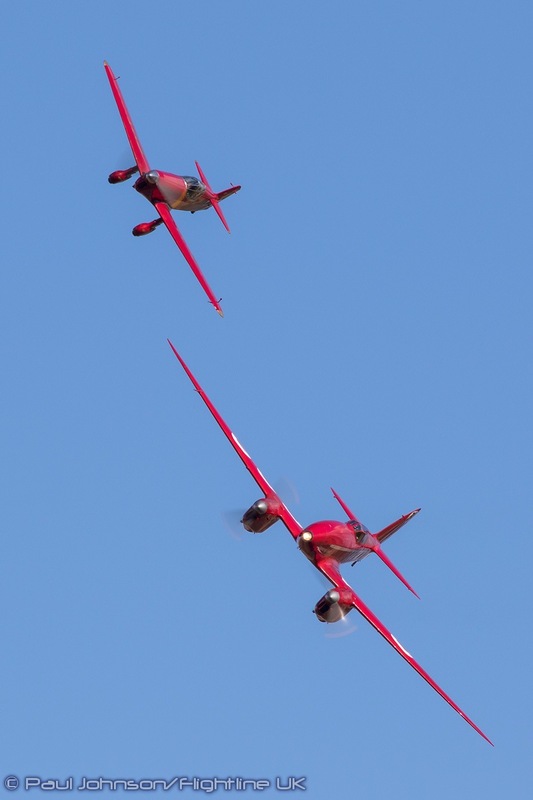 There were a multitude of different formations and combinations celebrating various aspects of air racing. 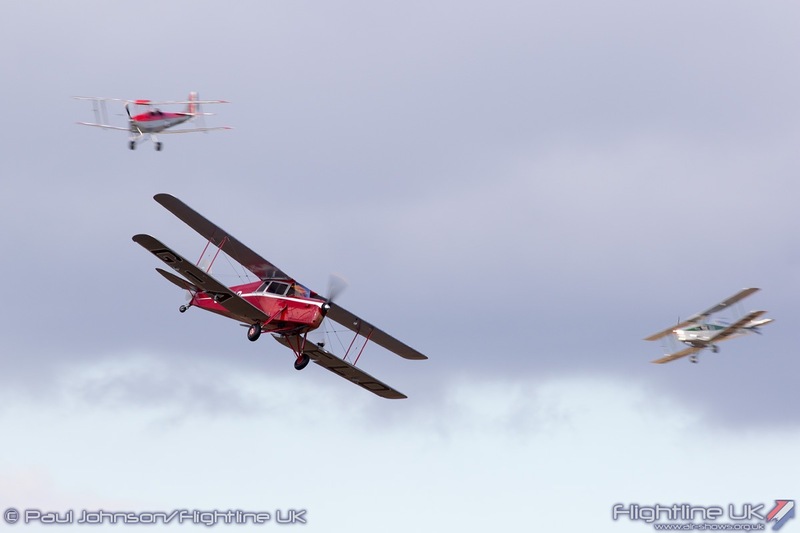 The de Havilland DH88 Comet took centre stage in the ‘Record Breakers’ formation alongside David Beale’s wonderful Percival Mew Gull replica for some stirring fast passes and solo displays. 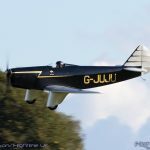 Formula 1 Air Racing was marked with a combine of Taylor Titch ‘Catch 22’, Pete Kynsey’s Le Vier Cosmic Wind ‘Ballerina’ and the Midget Mustang. 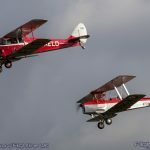 A really eye-catching formation saw a three-ship of Chilton DW1s for the first time over Old Warden with the addition of G-JUJU or ‘Black Magic’ to the display. 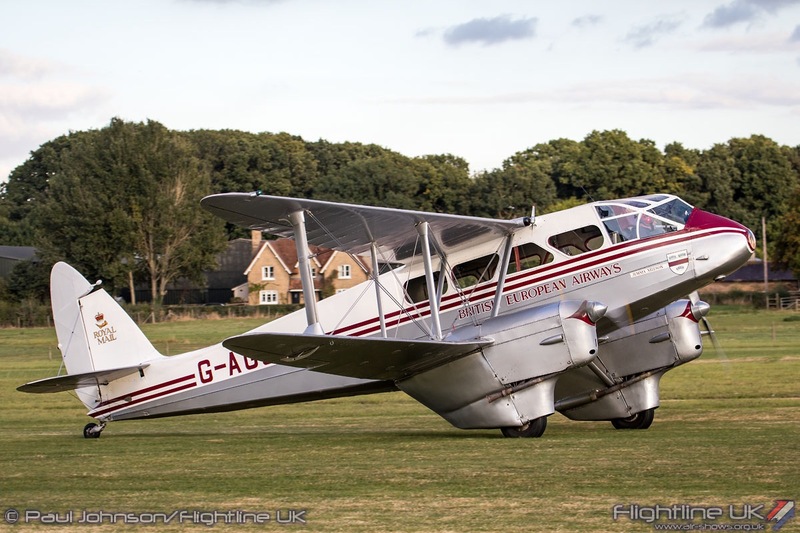 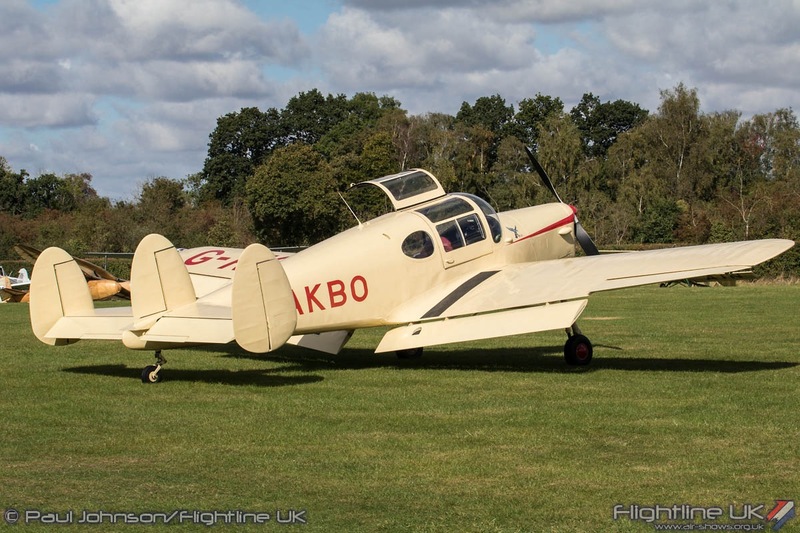 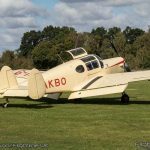 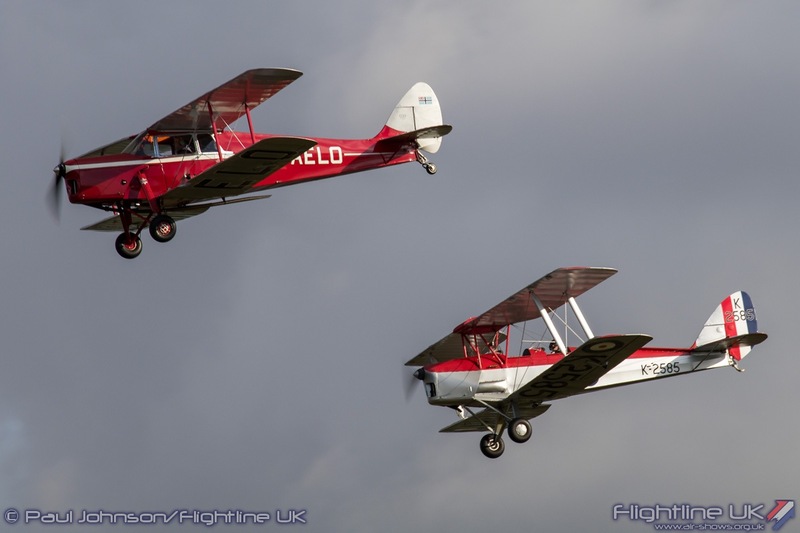 de Havilland Aircraft were based not too far from Old Warden at the famous Hatfield Aerodrome. 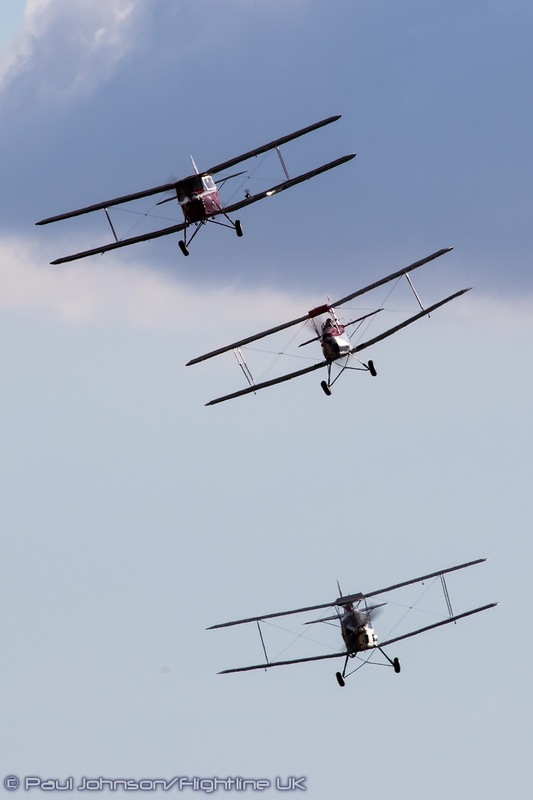 That company’s contribution to air racing and sports aviation in the general was marked by a beautiful formation of some of their most famous marks. 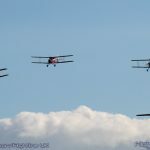 The Shuttleworth DH82a Tiger Moth was joined by examples of the DH87b Hornet Moth, the DH83 Fox Moth and DH80a Puss Moth. 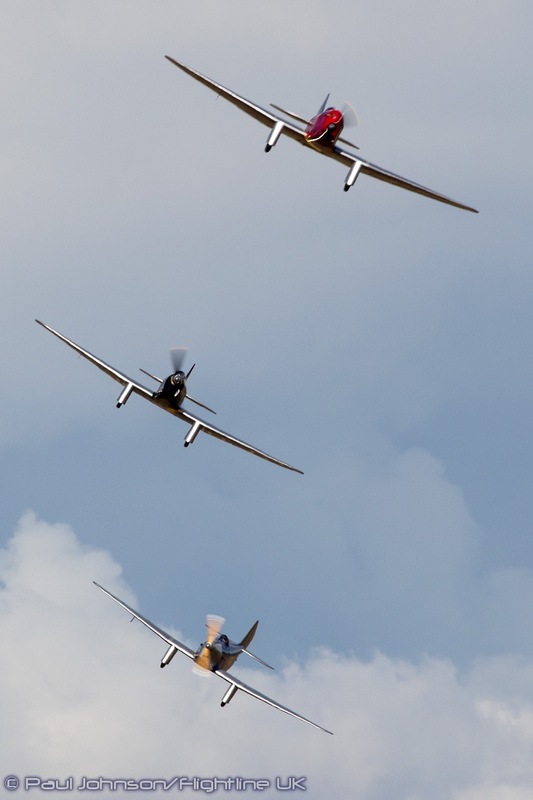 As well as the formation, two ‘mock’ Air Races were staged during the afternoon. 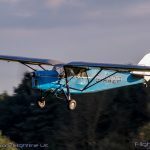 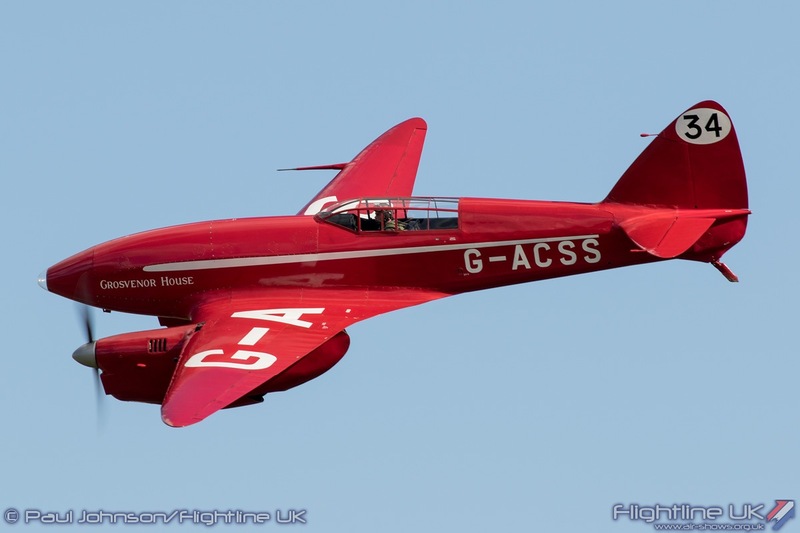 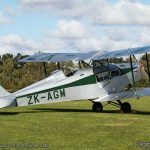 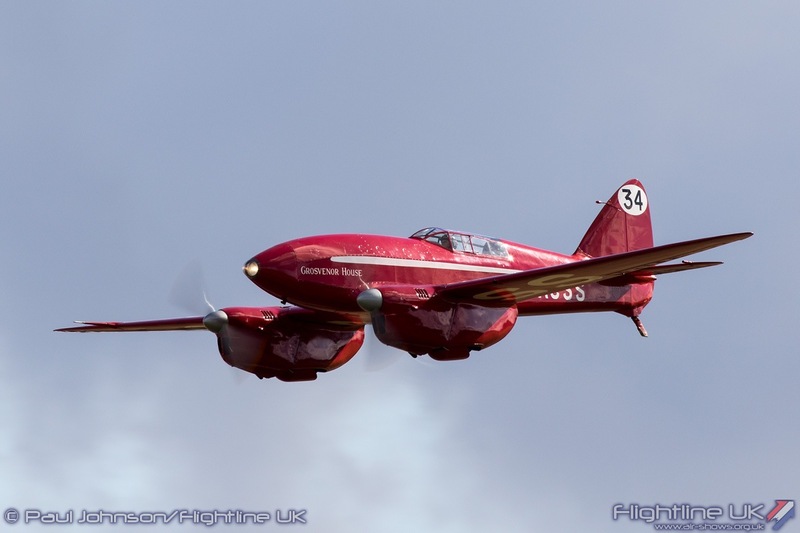 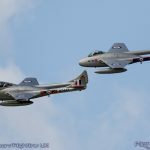 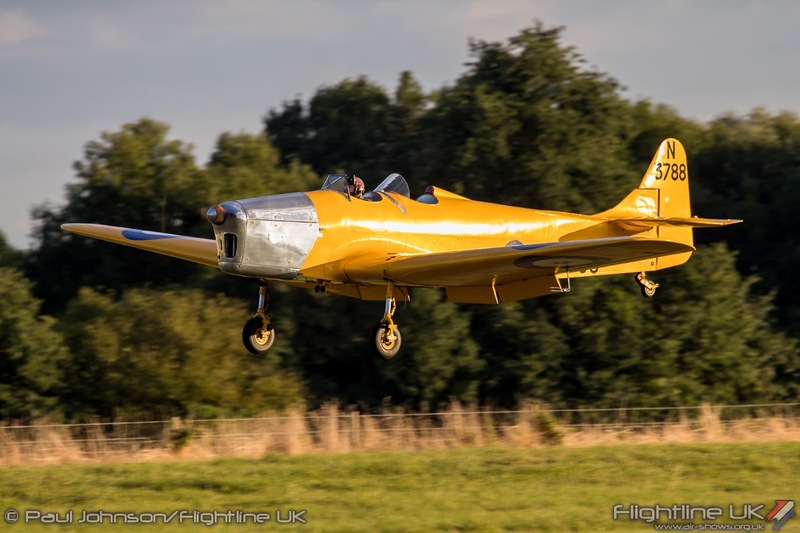 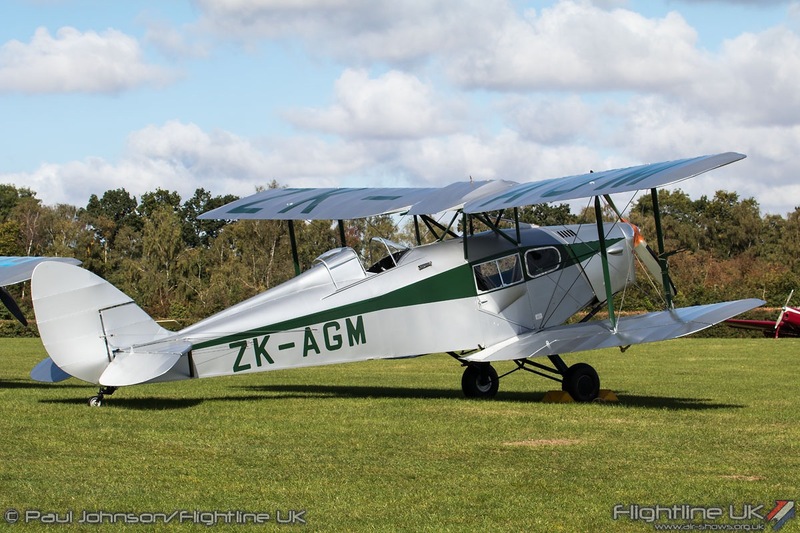 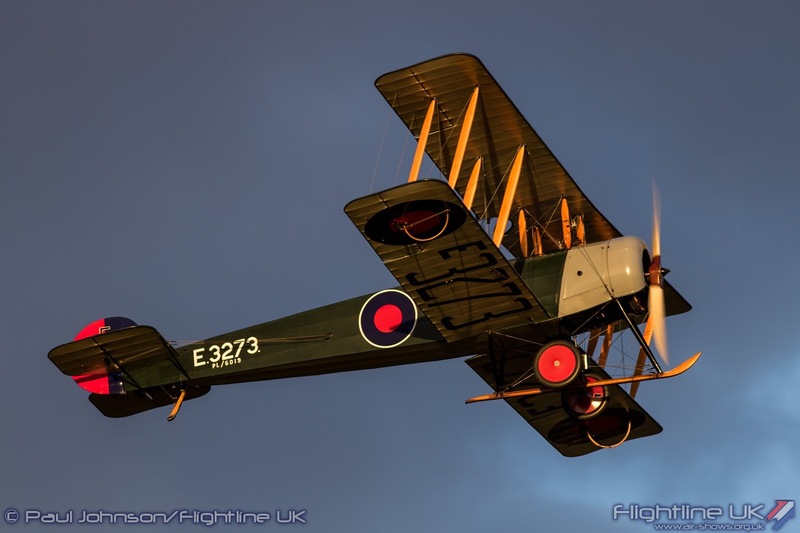 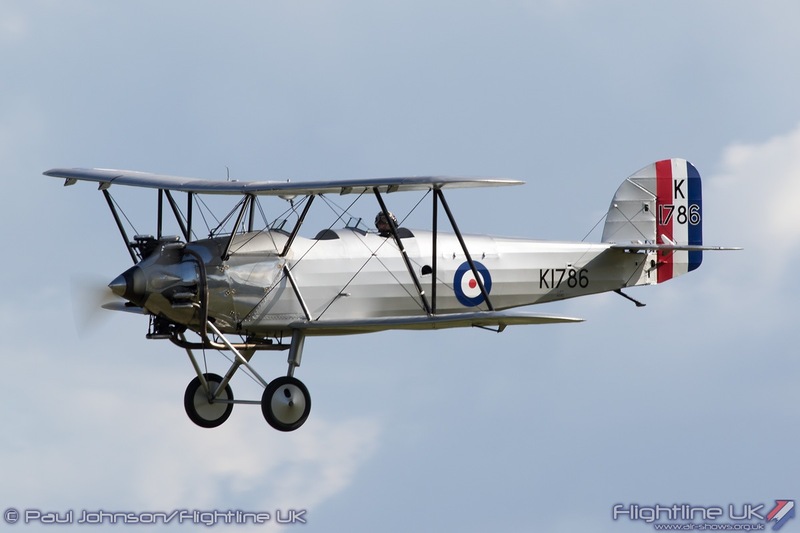 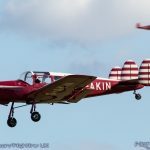 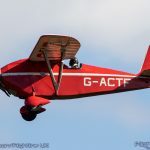 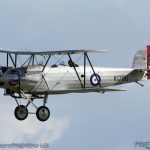 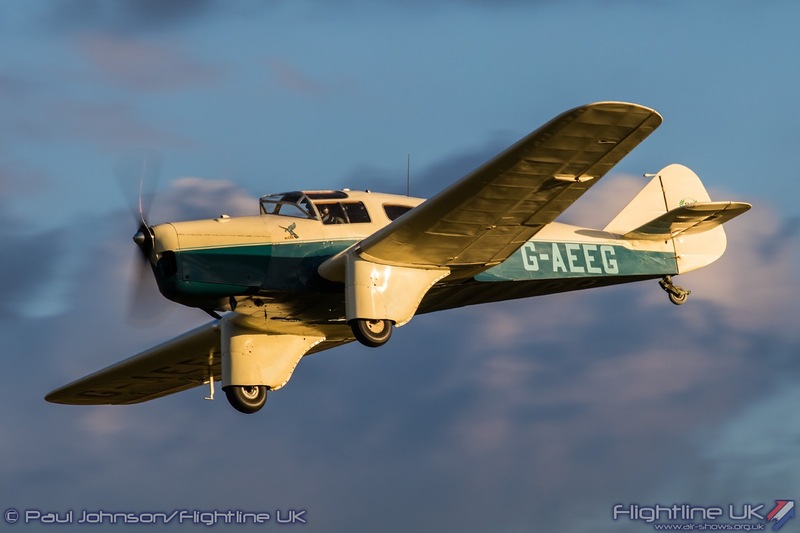 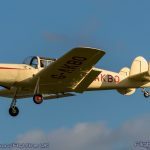 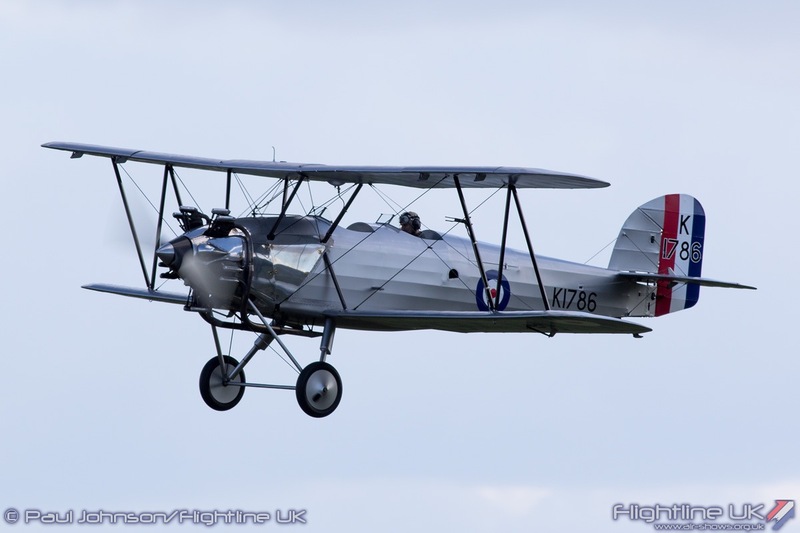 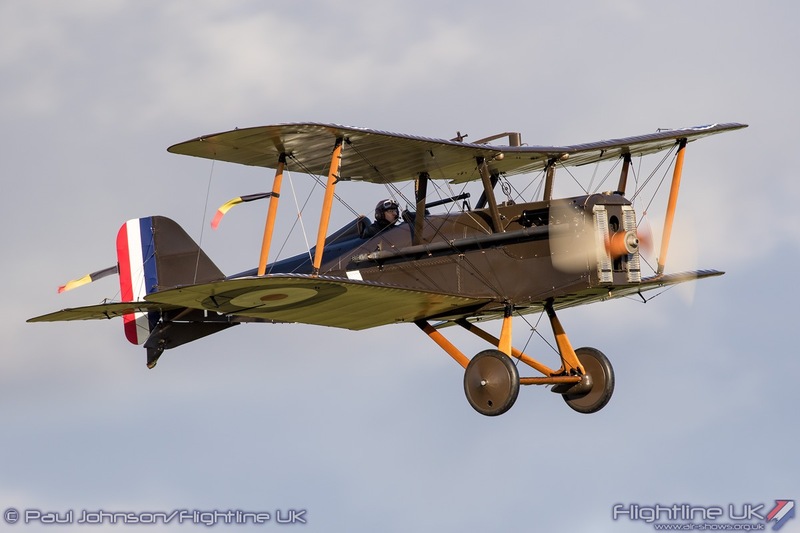 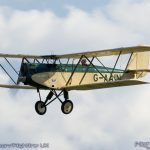 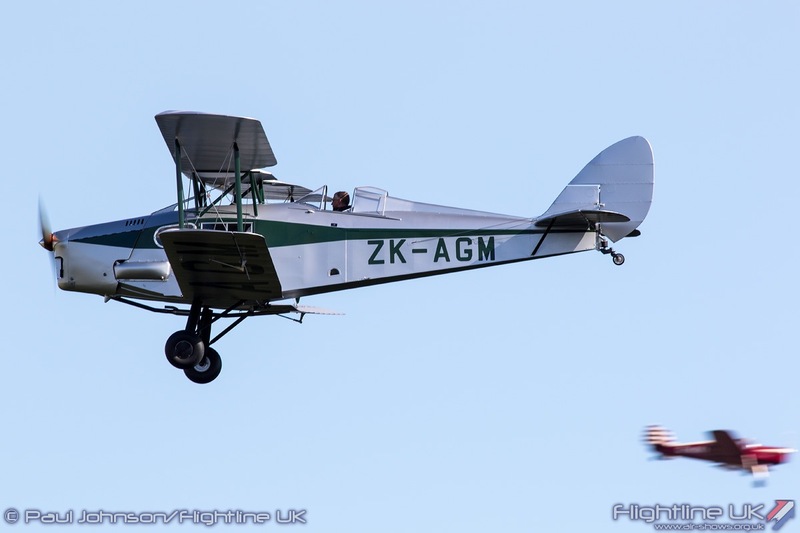 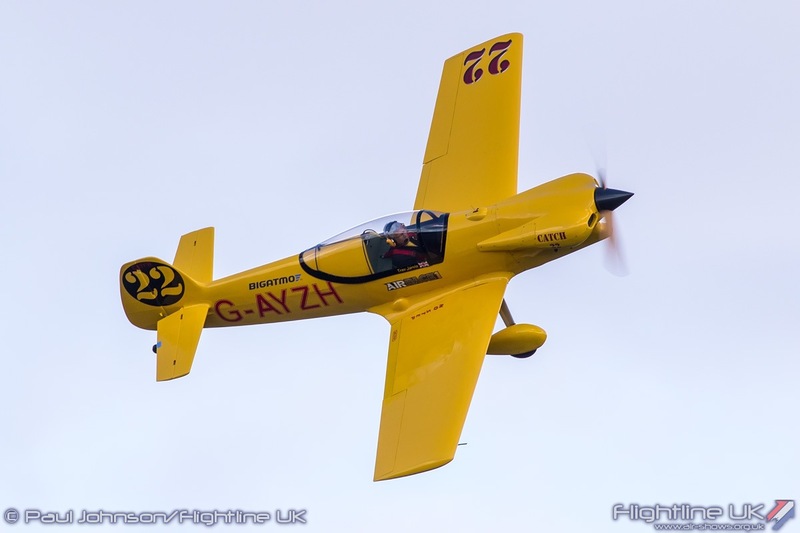 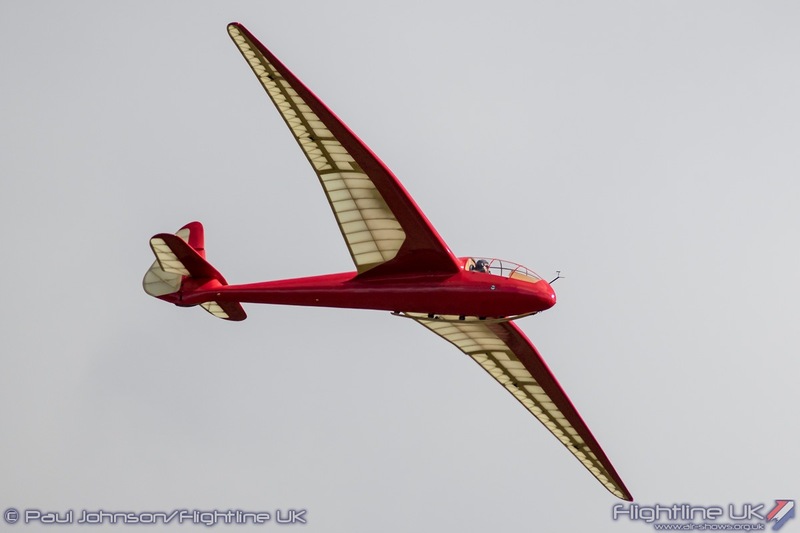 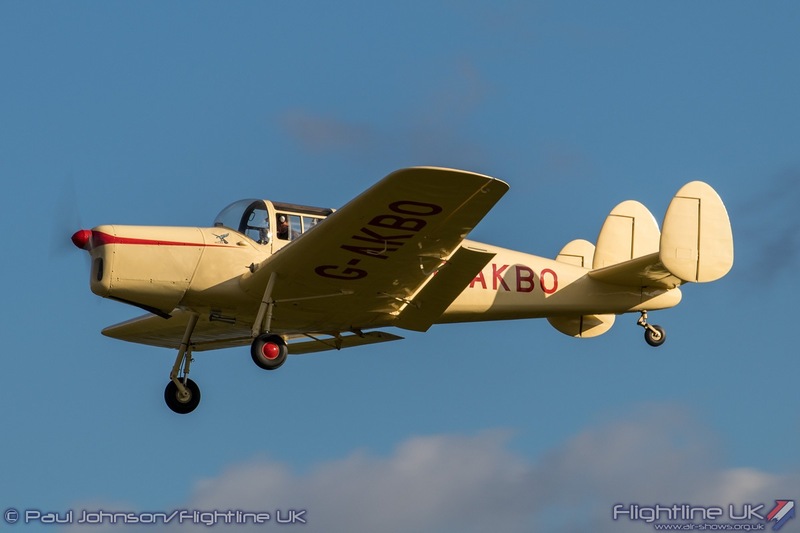 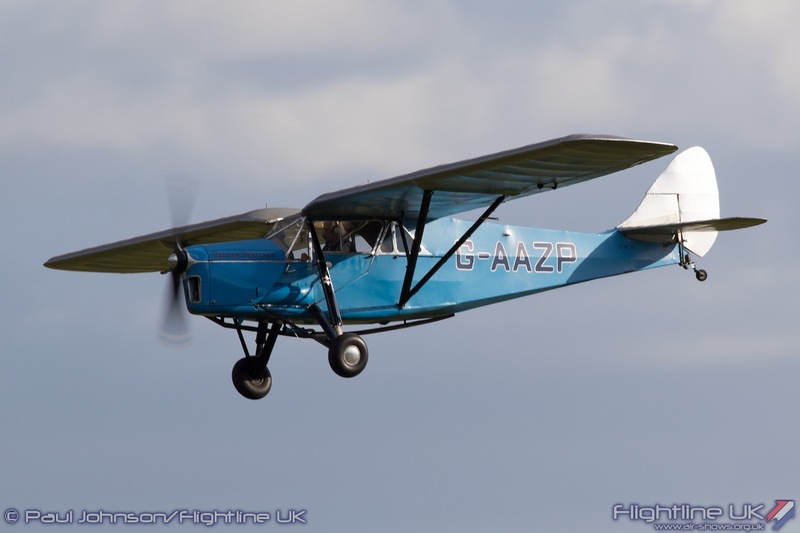 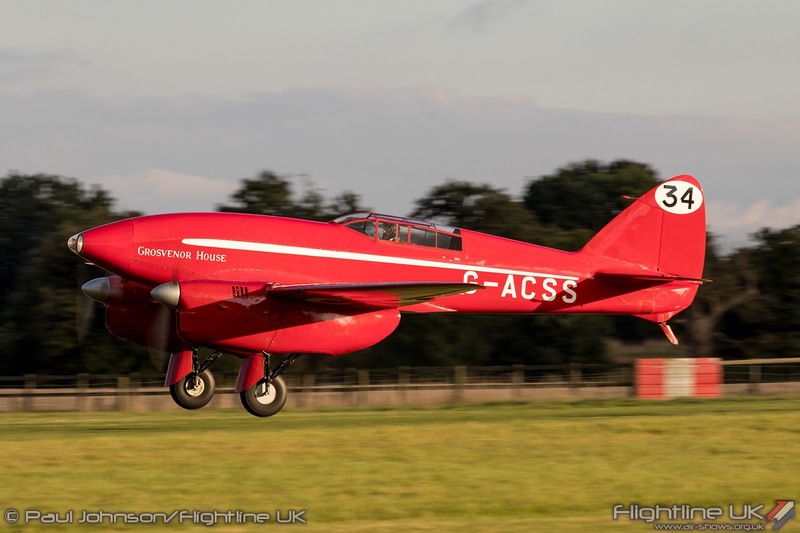 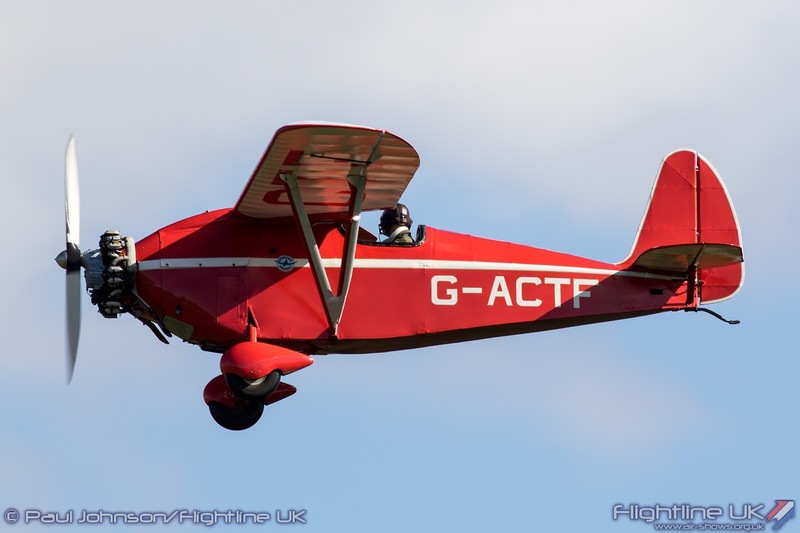 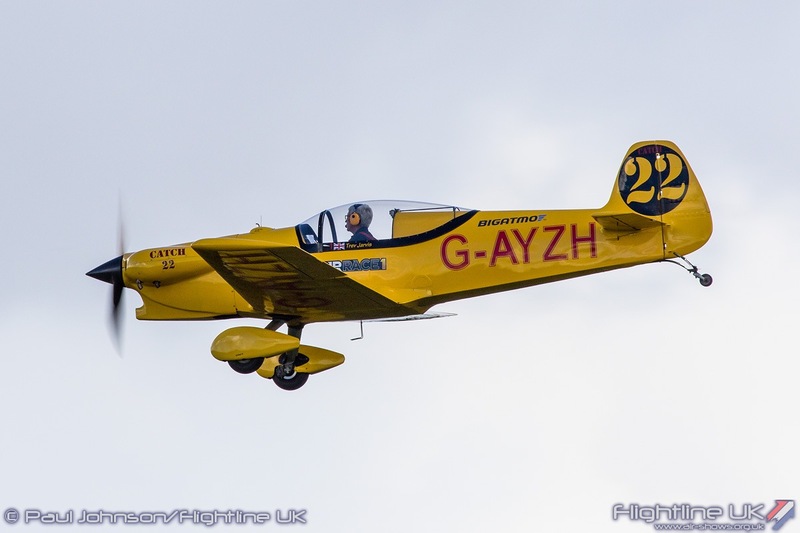 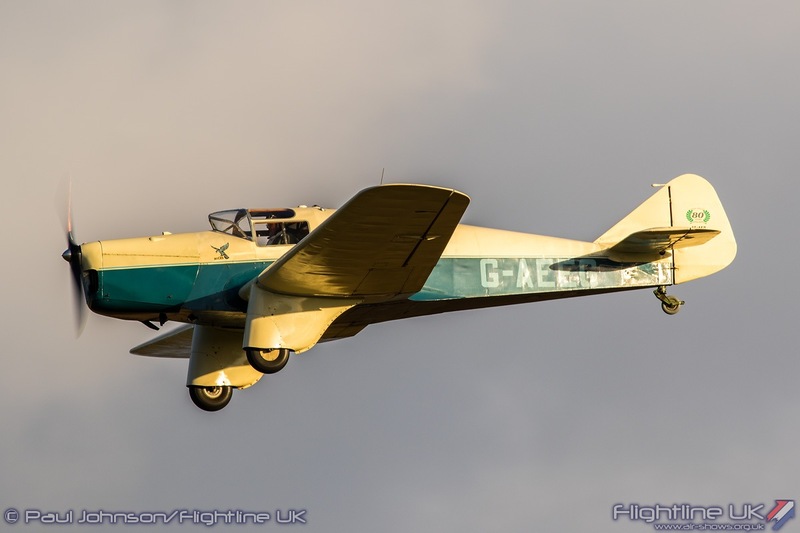 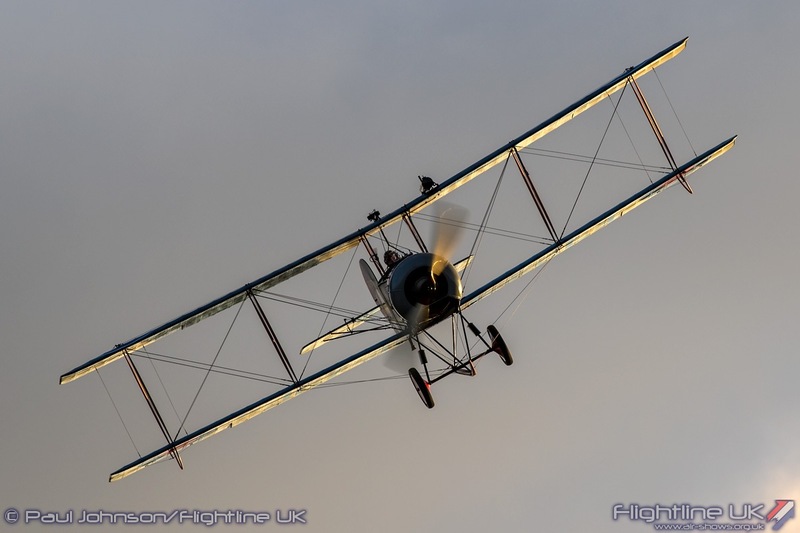 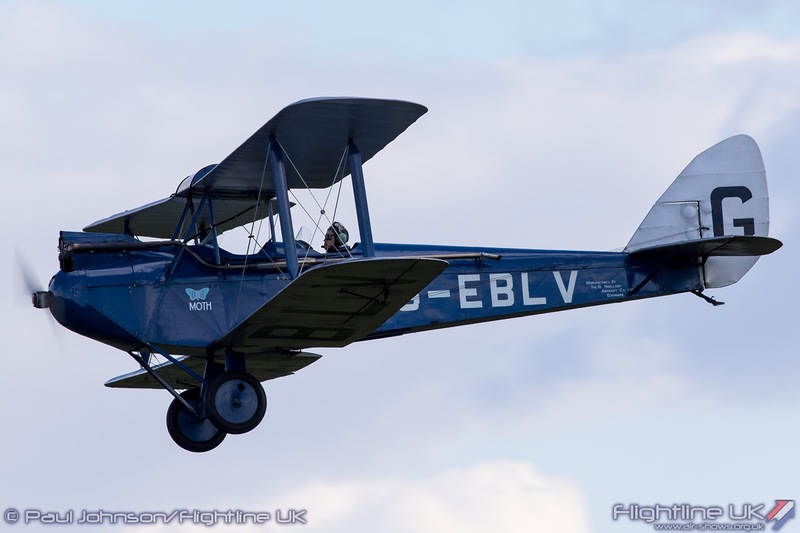 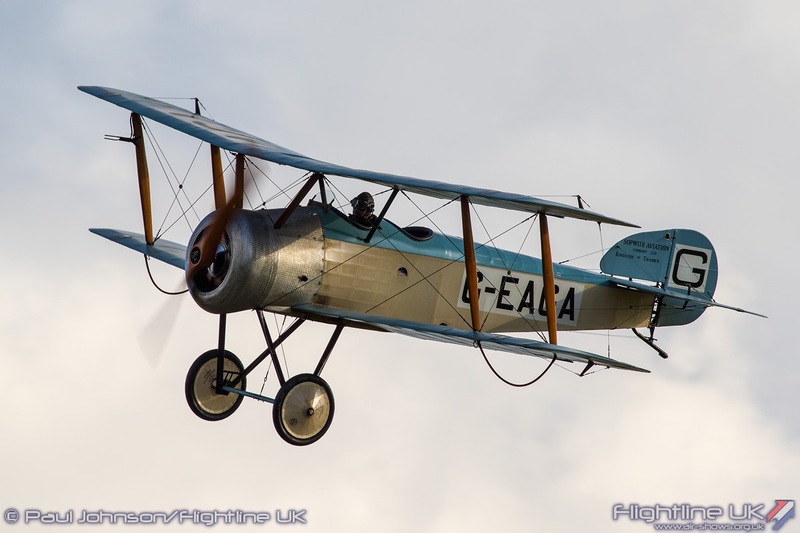 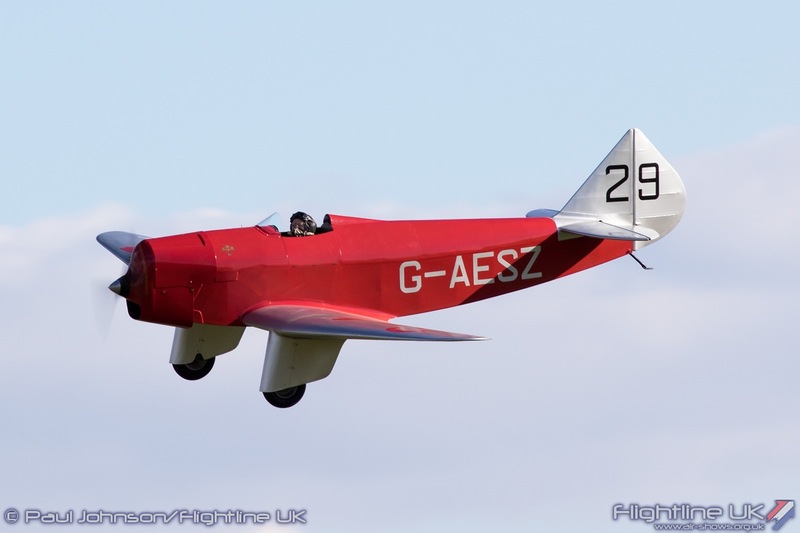 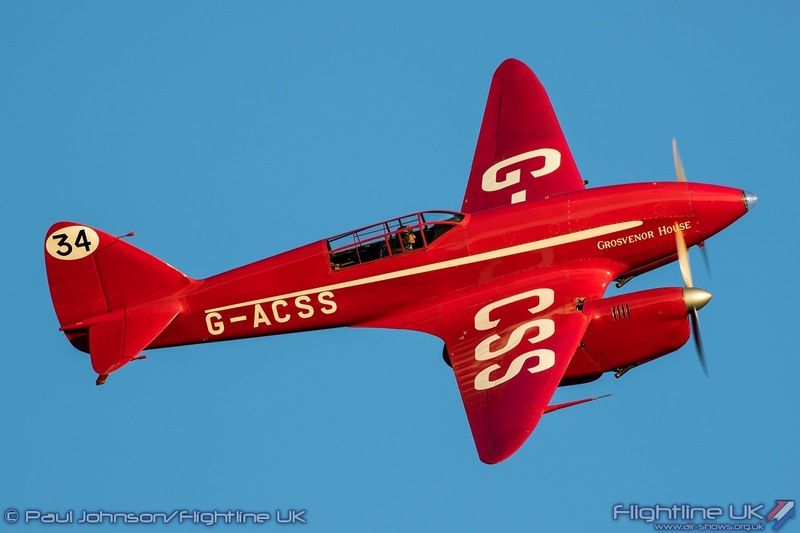 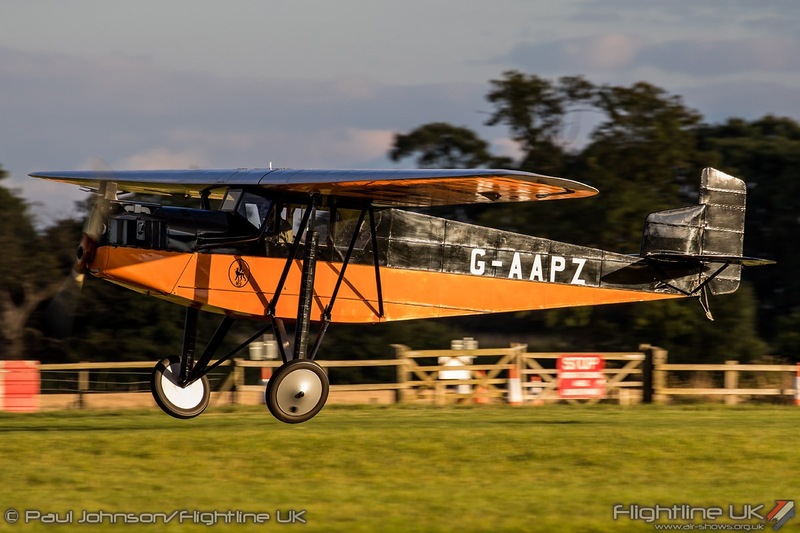 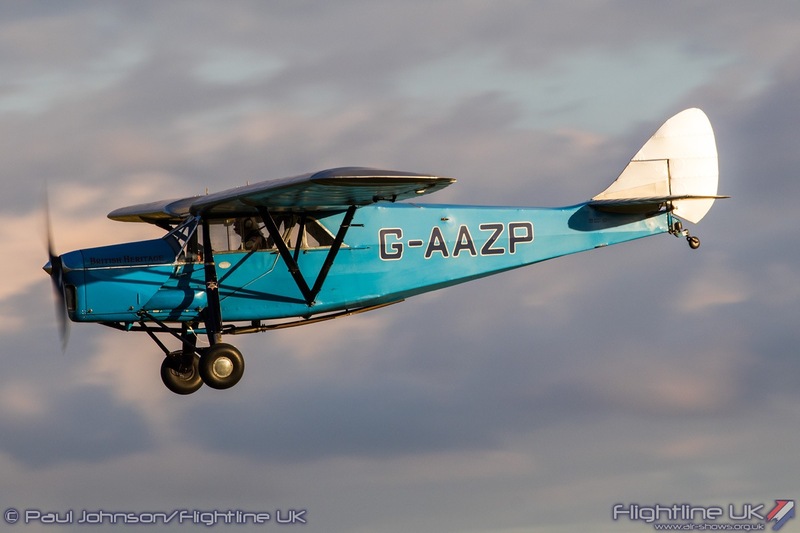 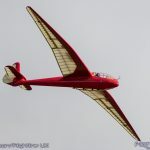 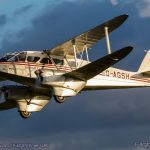 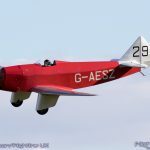 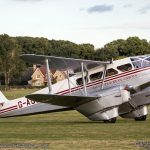 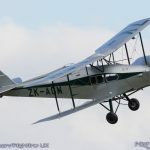 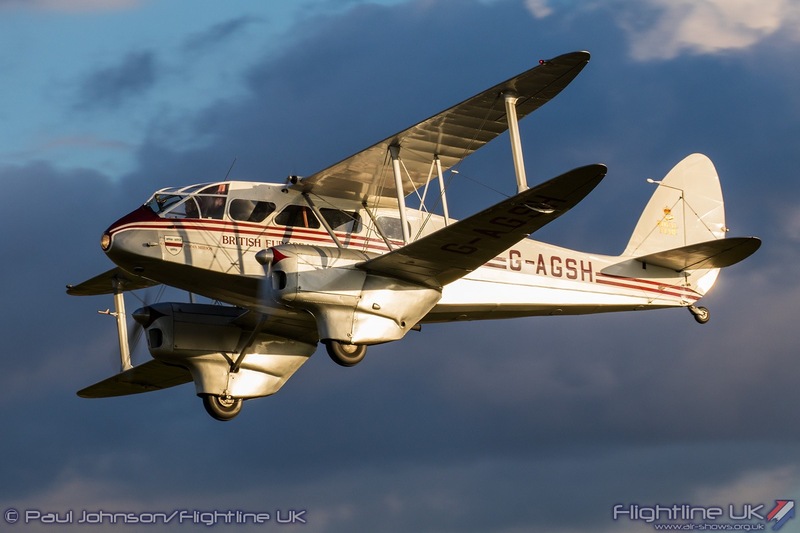 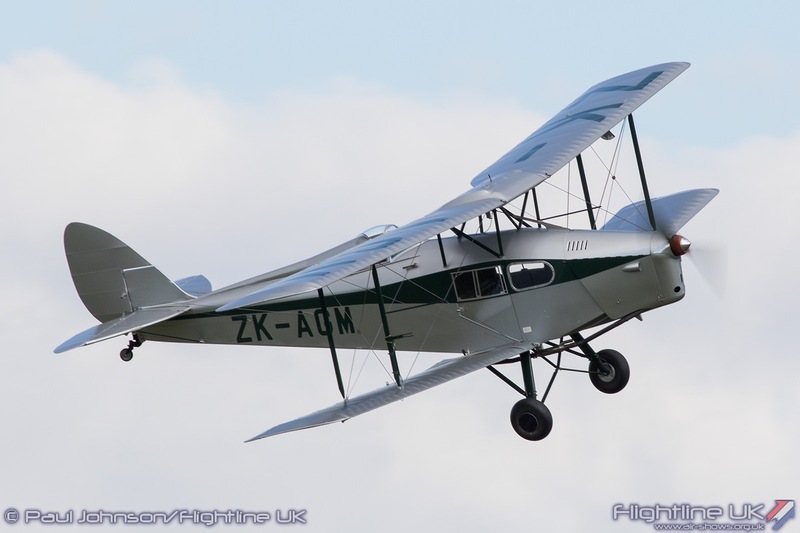 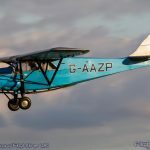 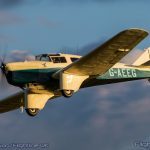 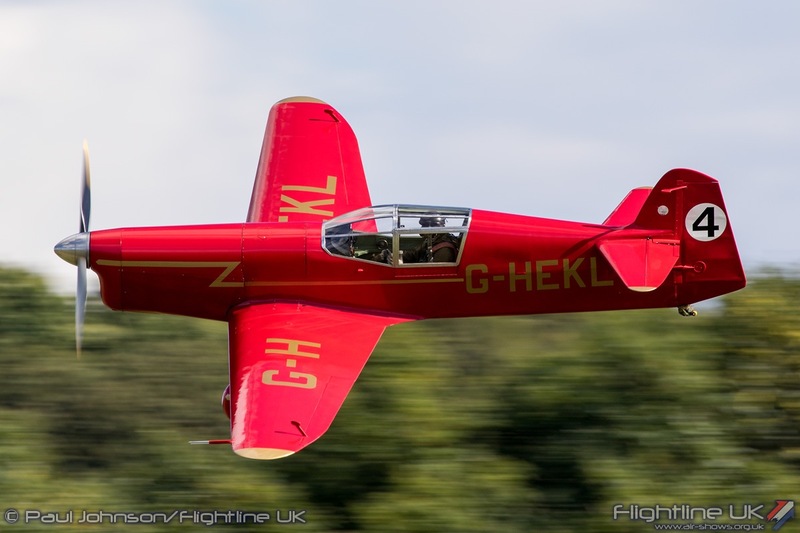 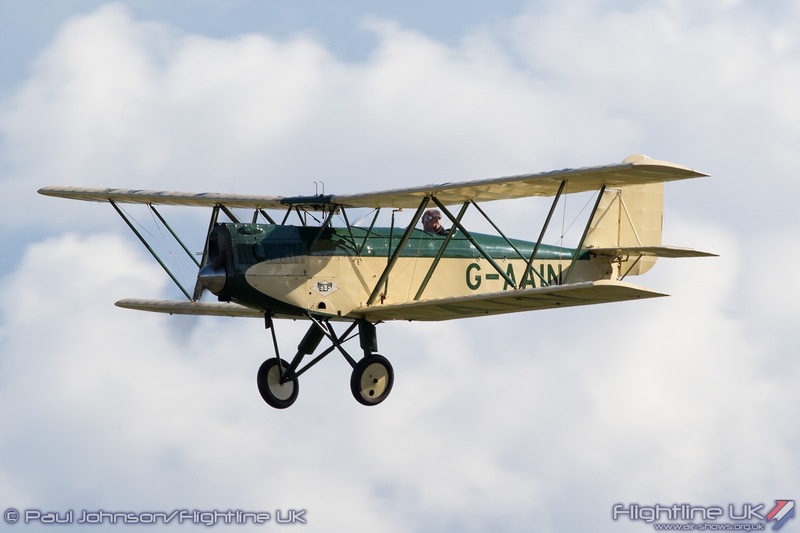 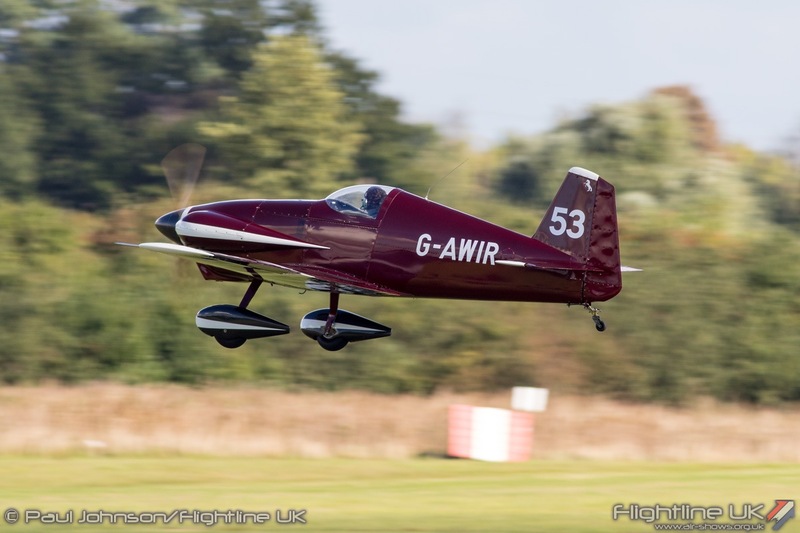 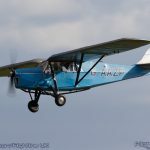 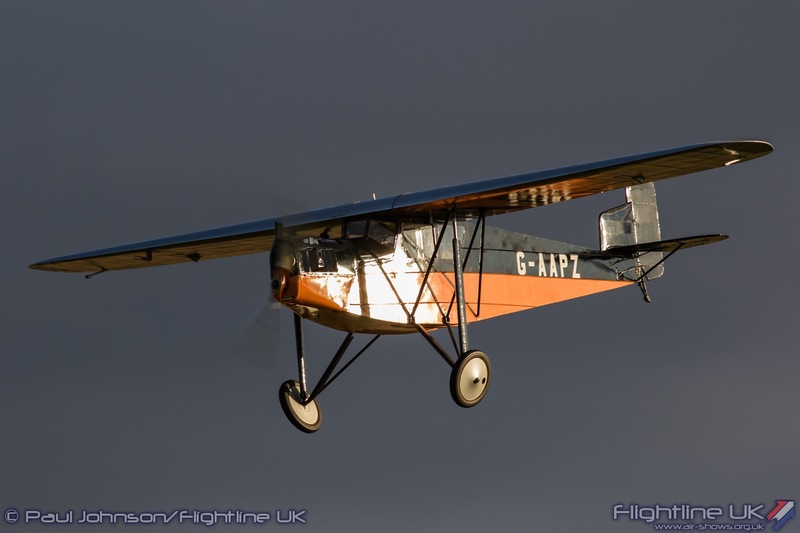 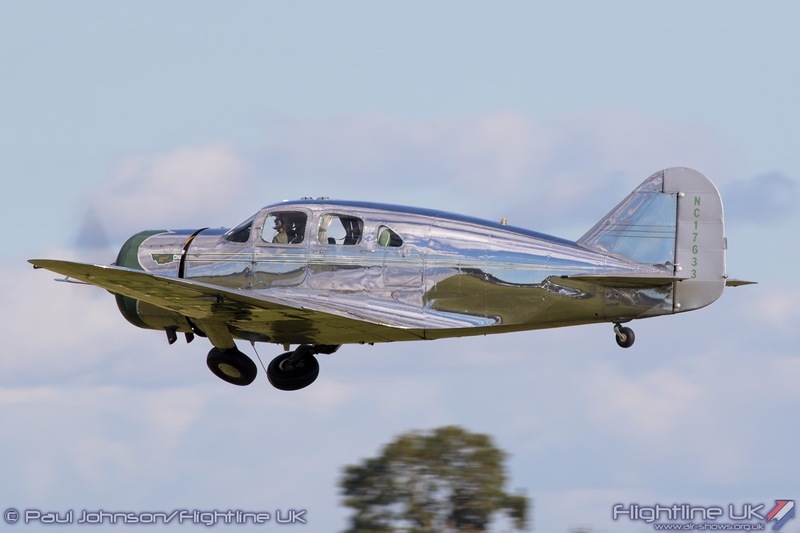 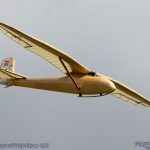 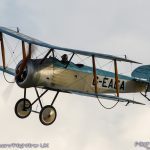 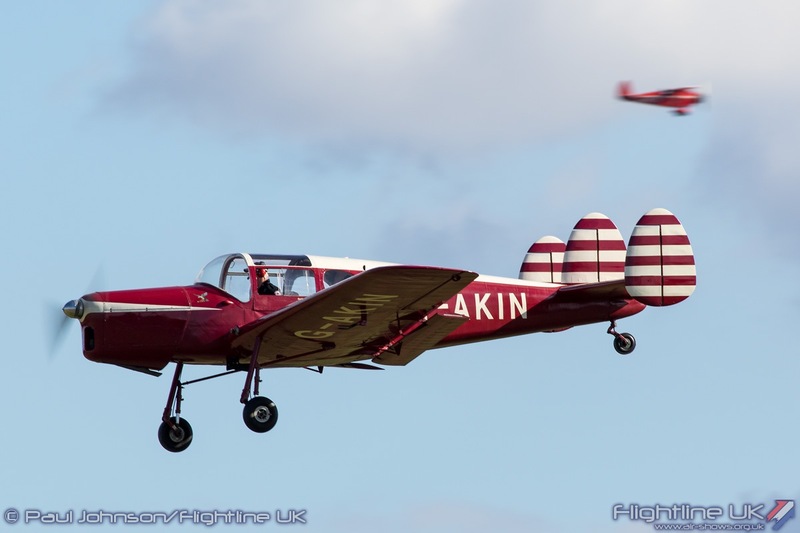 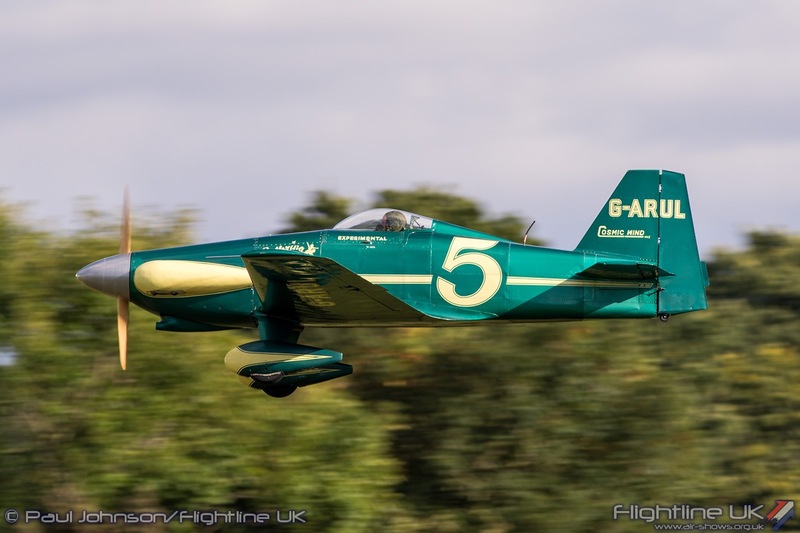 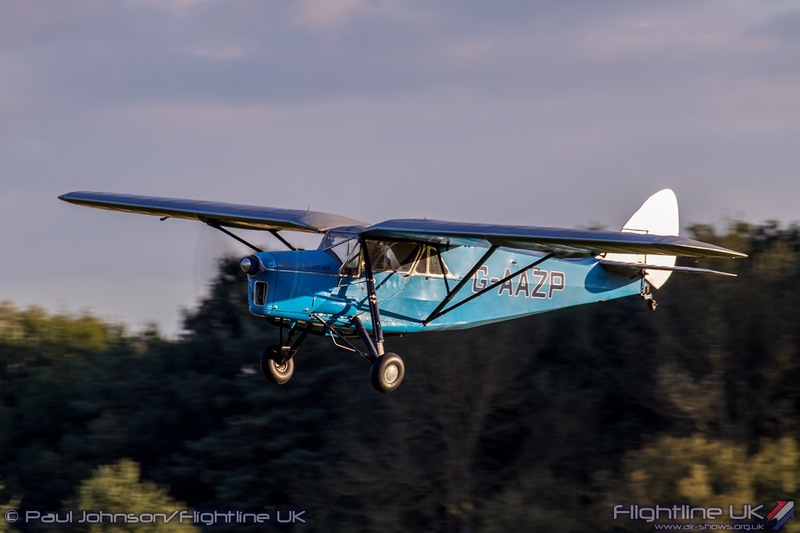 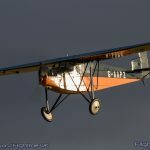 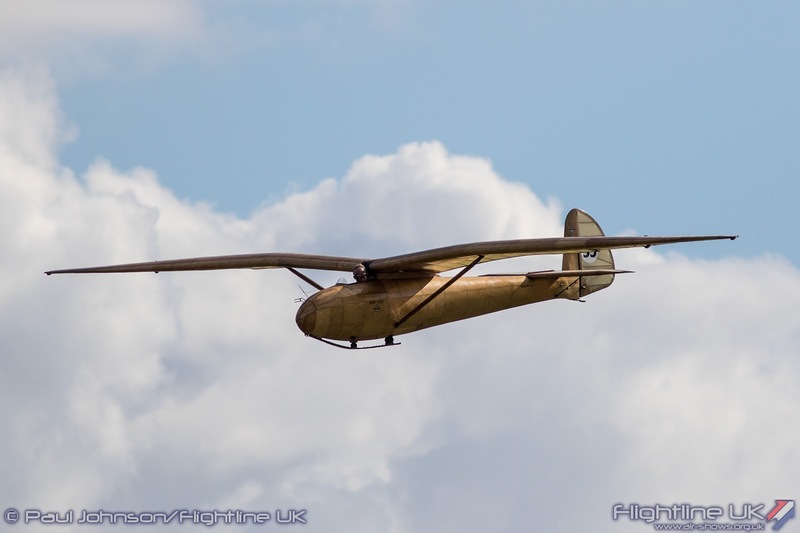 The first, for aircraft with a maximum speed less than 150mph saw the Comper Swift, de Havilland DH60 Moth, de Havilland DH83 Fox Moth, Parnell Elf, Hawker Tomtit and Miles Messenger fly a closed oval circuit over the Bedfordshire country side. 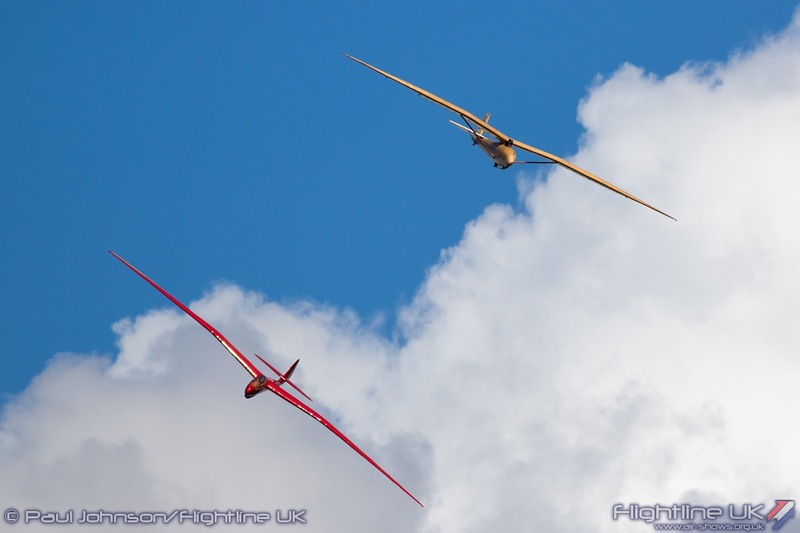 A later race saw more potent machines battle it out including the Pericival Mew Gull, Spartan 7W Executive, Le Vier Cosmic Wind, Taylor Titch and Hawker Hurricane I R4118. 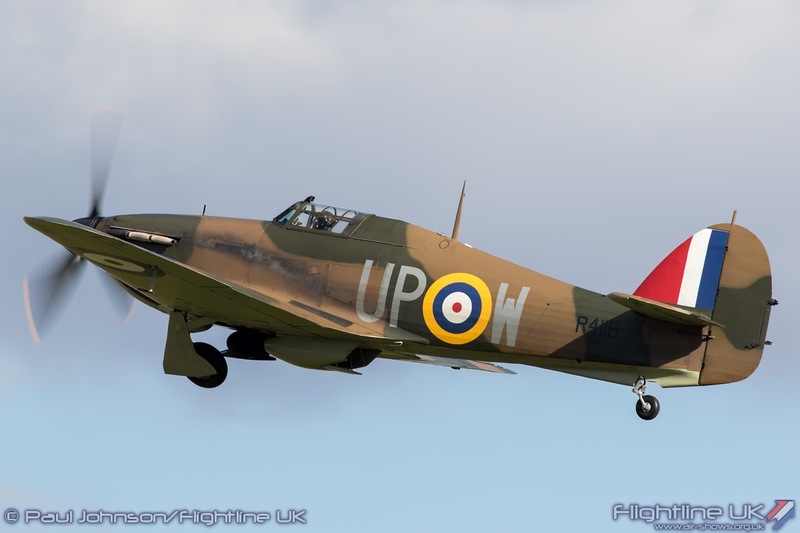 Following the latter race, Dave Harvey gave a short solo display in the Hurricane showing off the classic lines of the Battle of Britain fighter in the autumnal light. 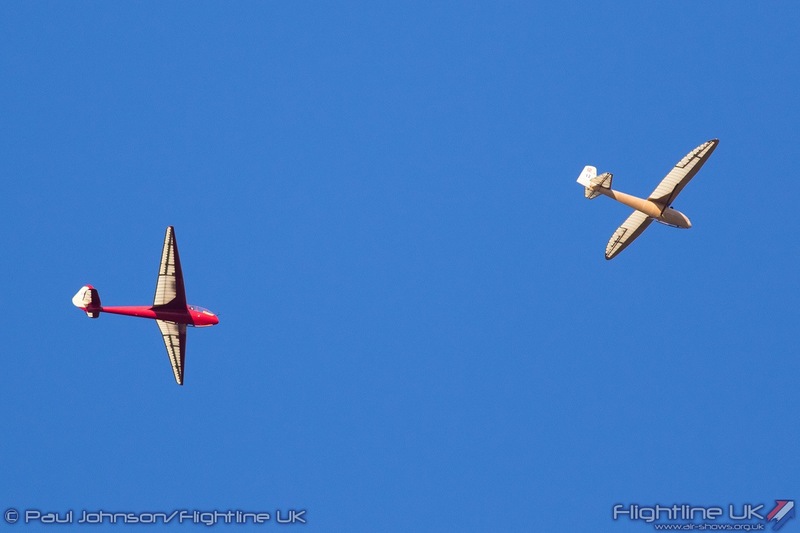 As well as the racing aircraft, there were some interludes. 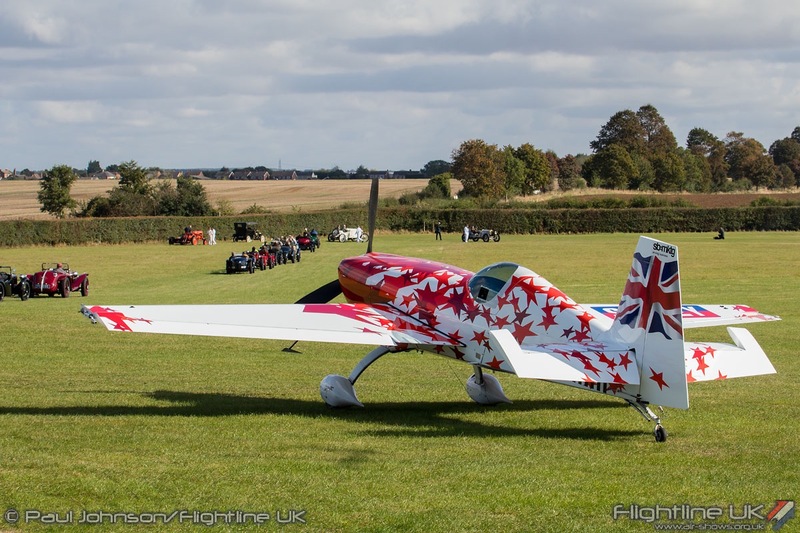 Peter Davies made a welcome return to Old Warden, this time with his brand new Calidus Autogyro G-DISP. 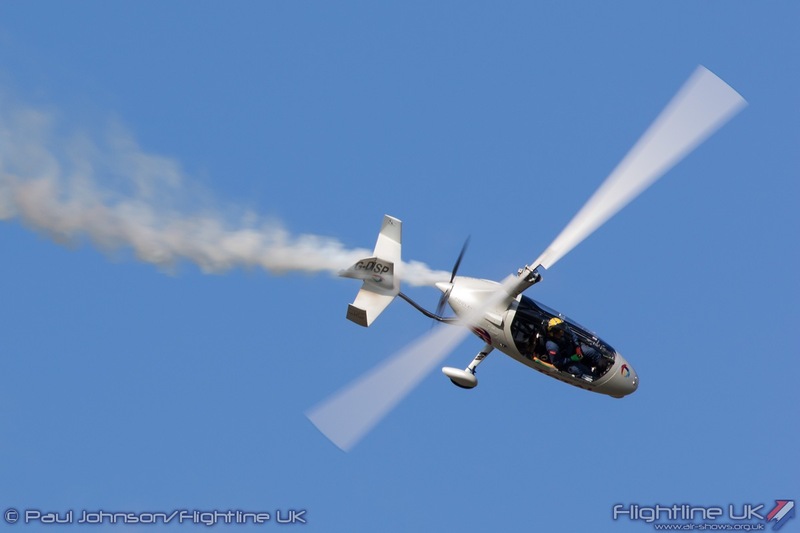 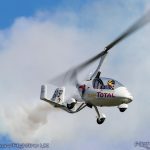 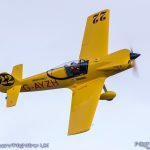 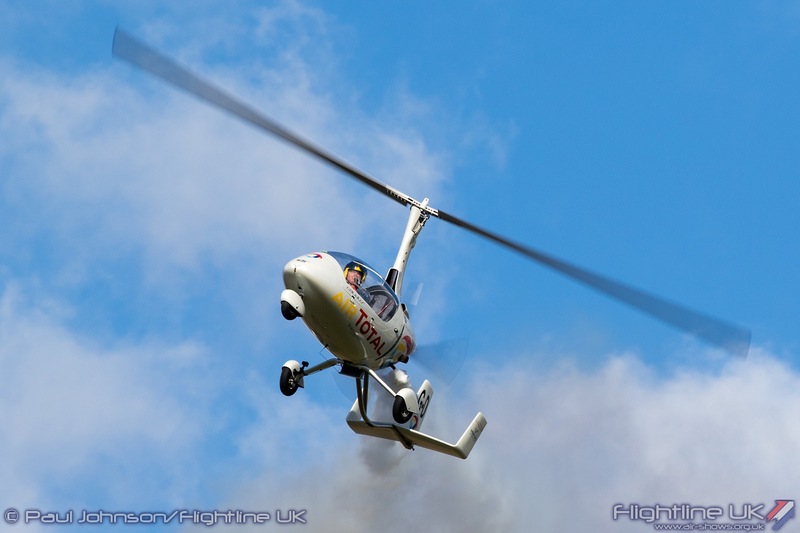 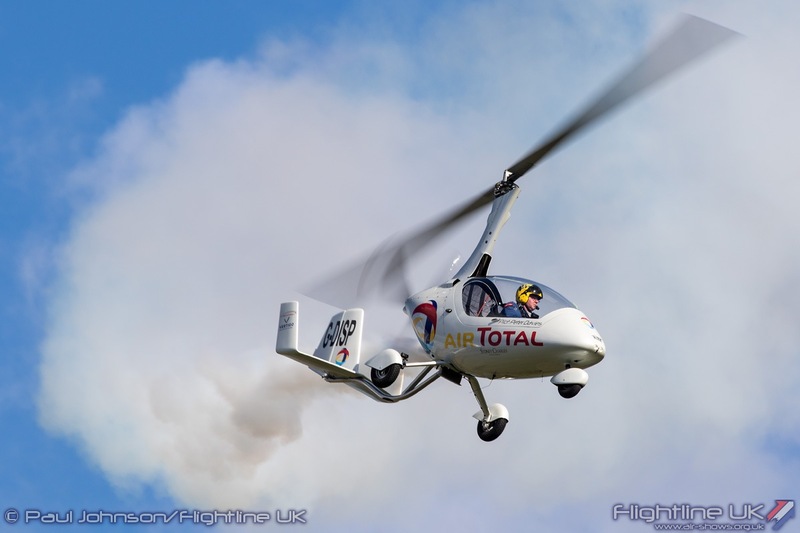 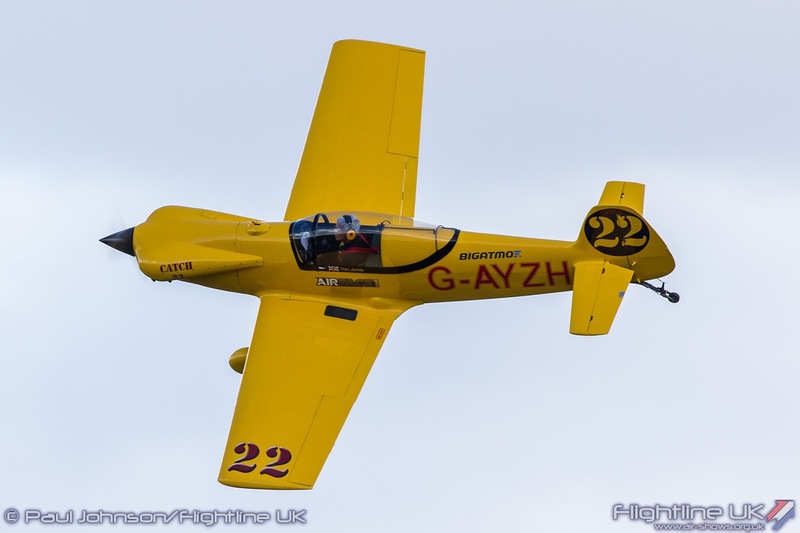 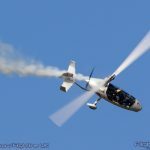 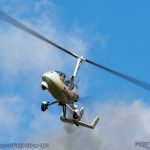 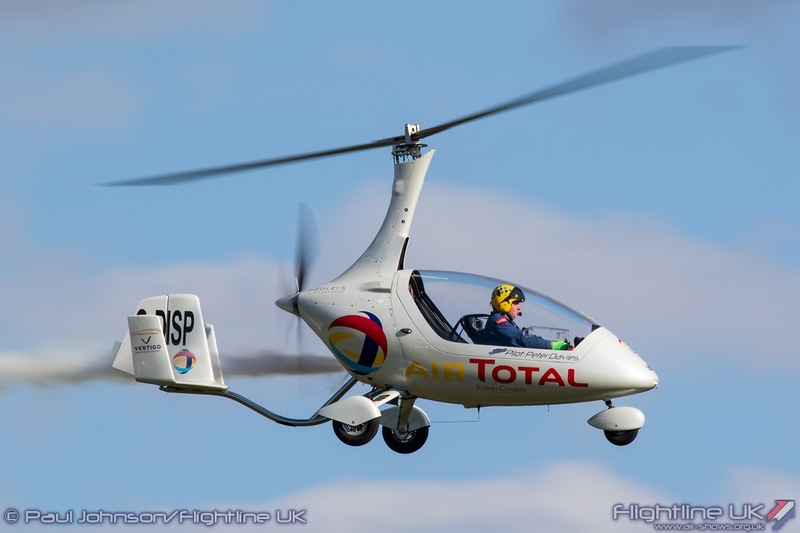 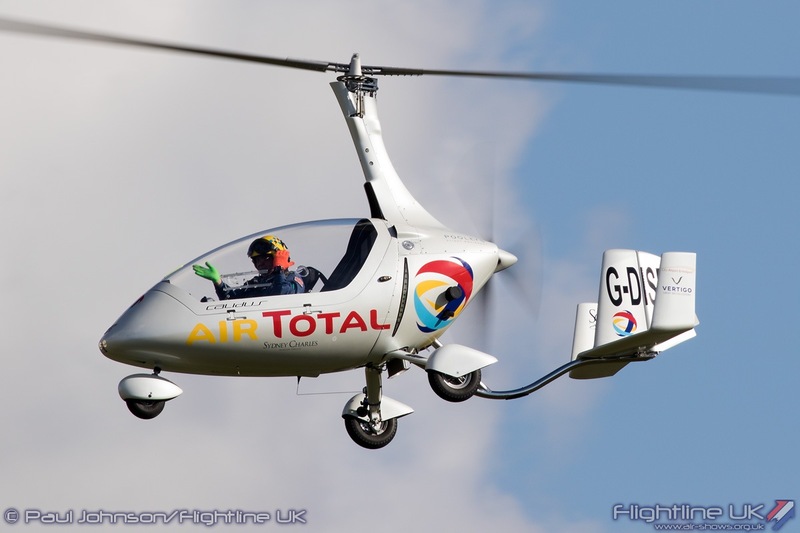 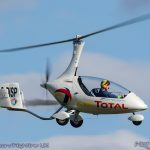 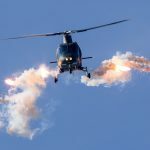 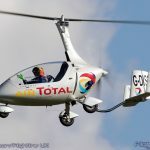 Peter’s displays show off the amazing handling qualities and agility of the Autogyro in dramatic style and always seem to delight the crowd. 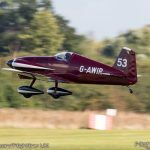 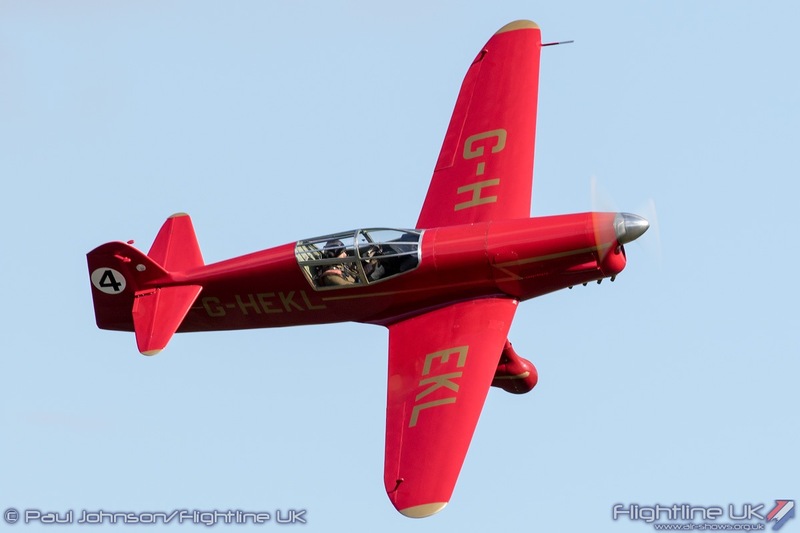 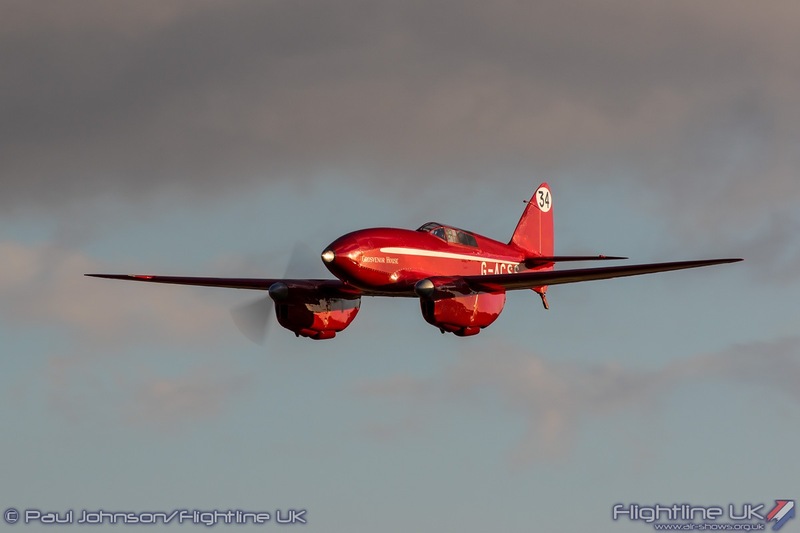 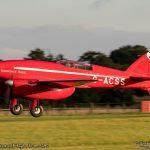 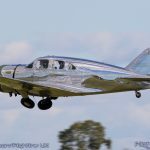 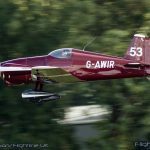 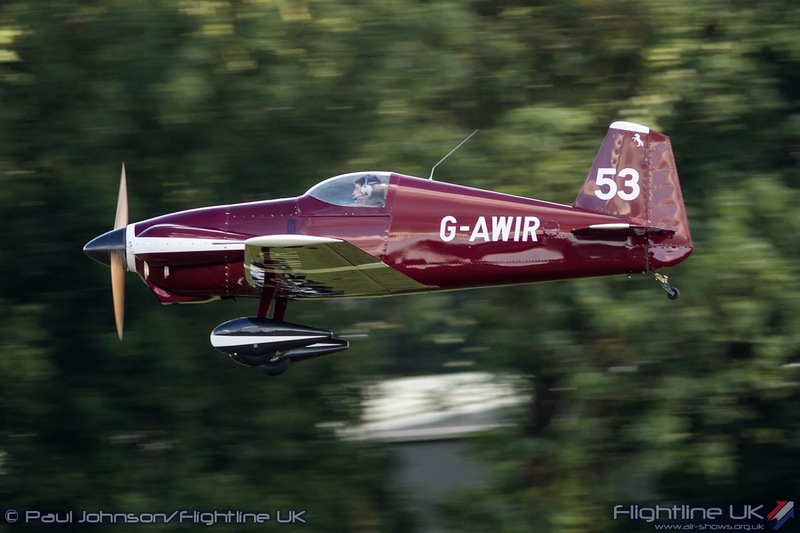 Mark Jefferies is another Old Warden regular and gave a superb account of the Extra 330SC in the late afternoon sunshine. 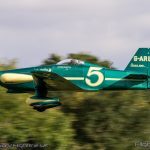 The Extra factory does have some racing heritage as they did produce the Extra 330SR which had a short life in the Red Rull Air Race Master Class flown by Nicolas Ivanoff and they currently supply the racing series with the 330LT for the Challenger class racing. 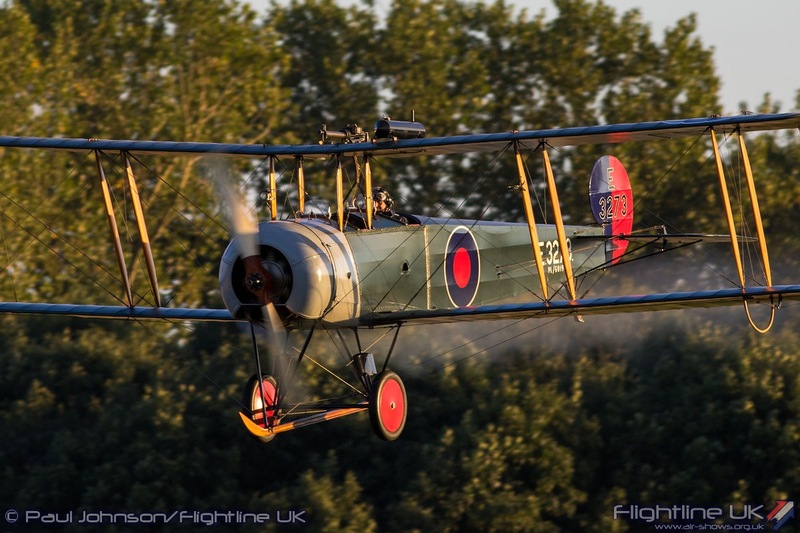 As the sun sunk lower, there was a short period of World War One era flying. 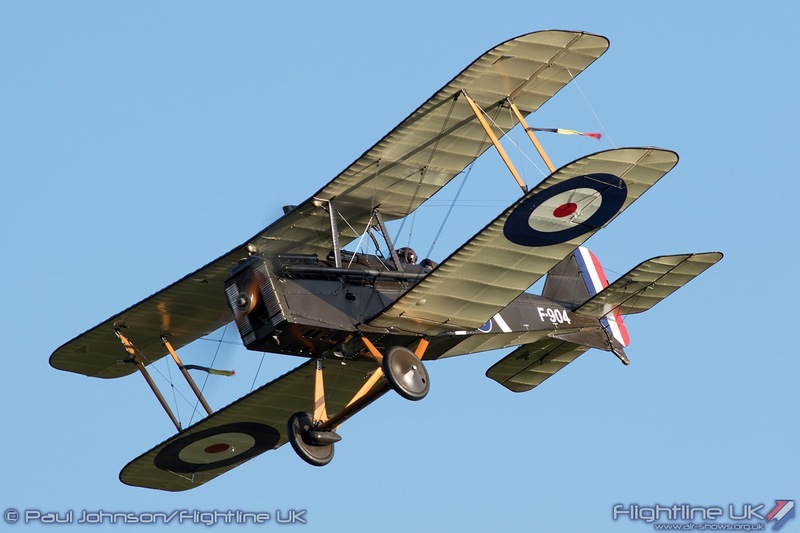 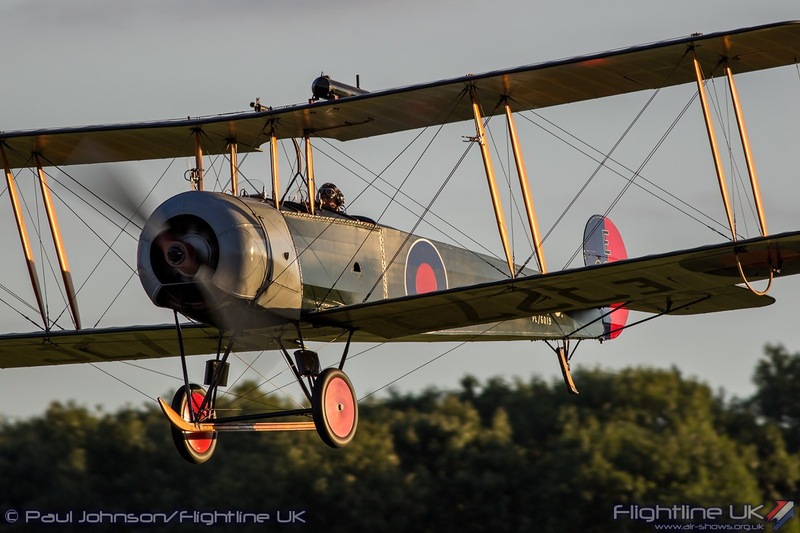 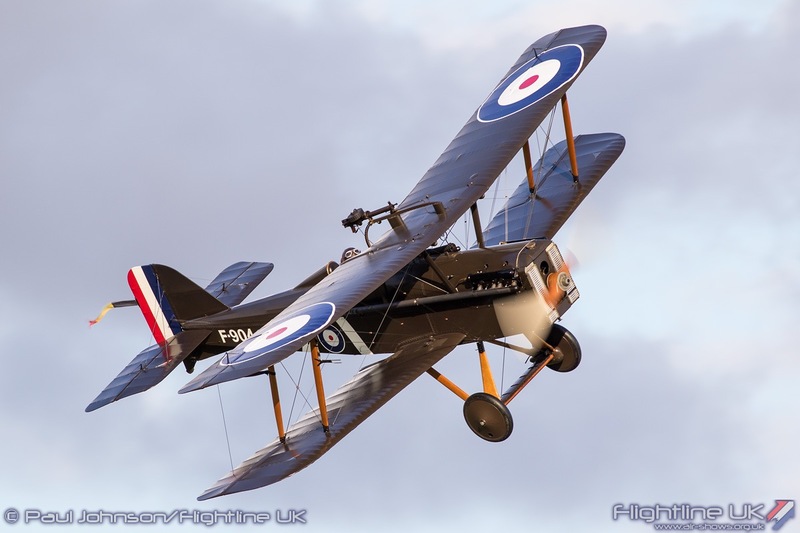 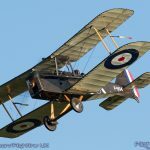 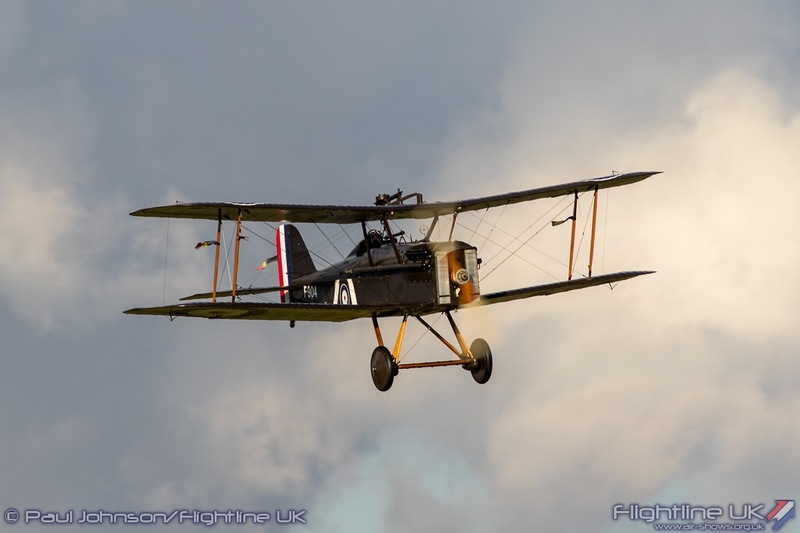 The RAF SE5a is a Shuttleworth stalwart making regular appearances at the Collection’s events each summer. 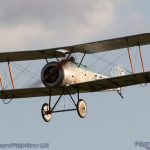 It was joined in the air by another debutant, the Sopwith Dove. 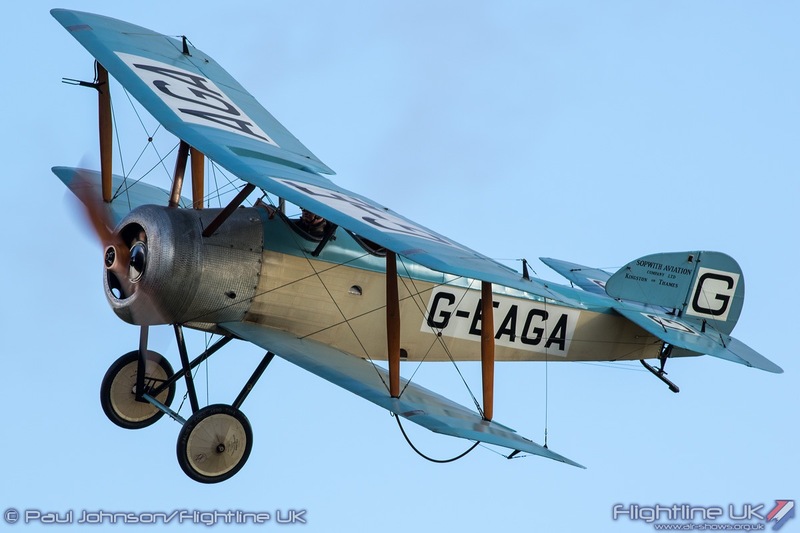 The type was actually built after the First World War as an early attempt at a civilian sporting aircraft. 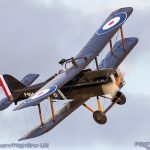 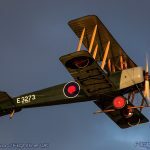 It shares many parts with the Sopwith Pup which was regarded as the best handling of Sopwith’s wartime aircraft. 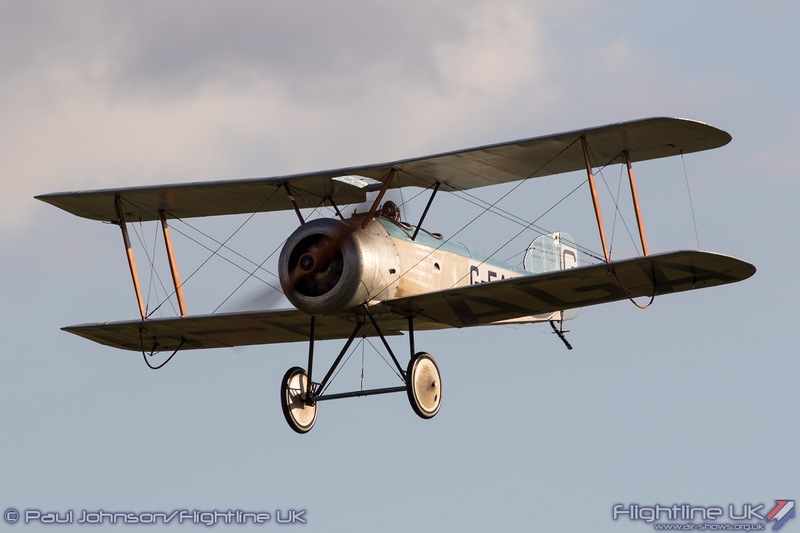 It was however a two seater aircraft and also had the wings slightly swept back to maintain the centre of gravity. 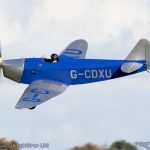 The Dove resident at Old Warden is a replica built by Skysport Engineering but it very faithful to the original with an authentic Le Rhone rotary engine up front. 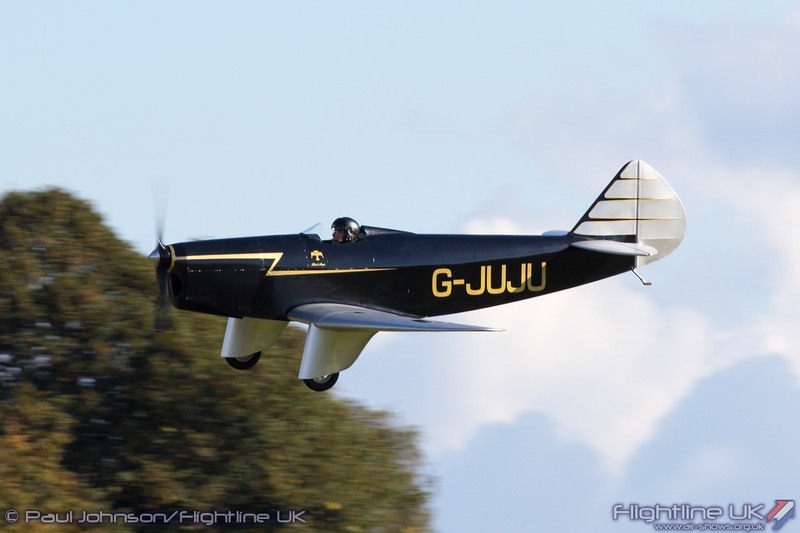 The penultimate piece of flying was a mini-recreation of the famous MacRoberston Air Race. 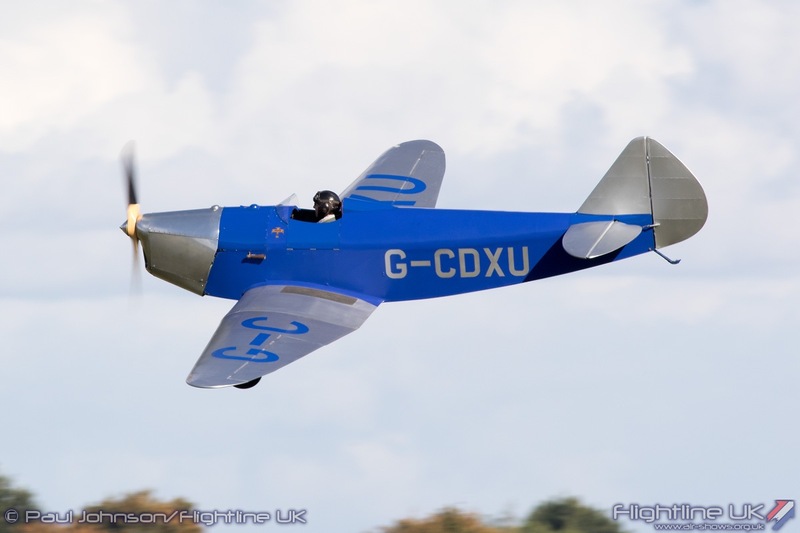 Held in 1934, the Air Race ran from Mildenhall in Suffolk to Melbourne in Australia. 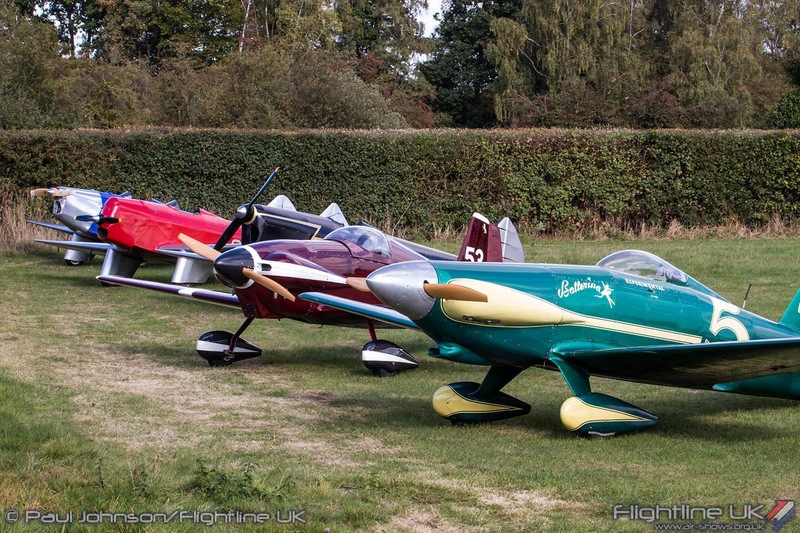 For the recreation, the Shuttleworth Collection had gathered examples of some of the types which took part. 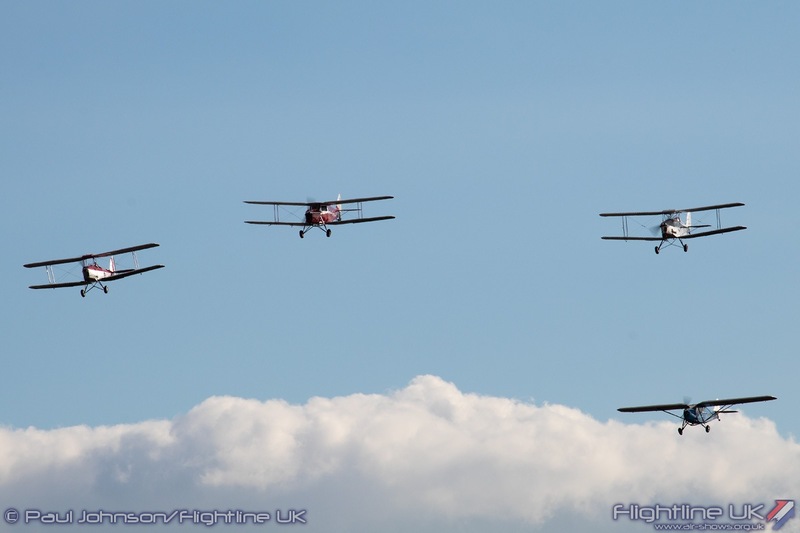 They took off in the order they started before returning to land in the finishing order. 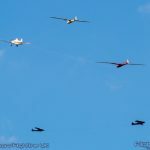 Lead by the original winnng aircraft, de Havilland DH88 Comet ‘Grosvenor House’ the line-up included the Miles Magister (representing the Miles Hawk Major), de Havilland DH80 Puss Moth, Desoutter, de Havilland DH89 Dragon Rapide, and Miles Falcon. 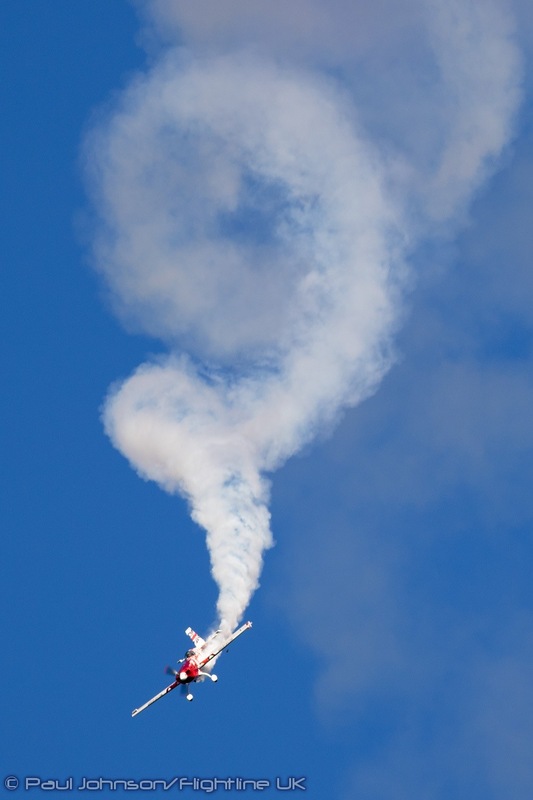 This section of flying was closed by another superb shirt solo display by the Comet flown by Dodge Bailey. 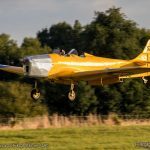 Illuminated by the golden autumnal sunlight and pitched against a stunning cloudscape it was a stunning finale to the air racing tribute. 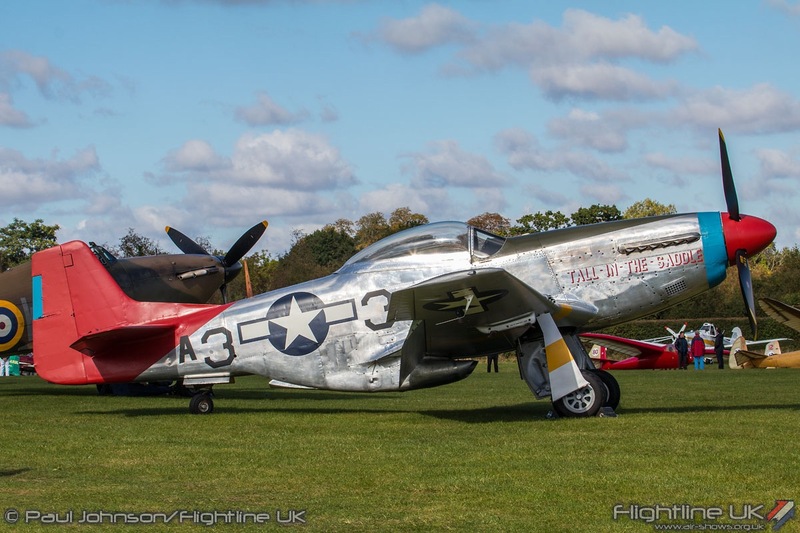 However, the displays were not over. 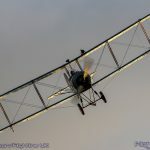 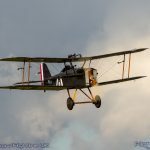 Filling in for the Edwardians which were sadly grounded by slightly gusty winds was the Avro 504K which flew just as dusk set in over Old Warden Park. 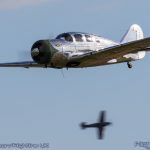 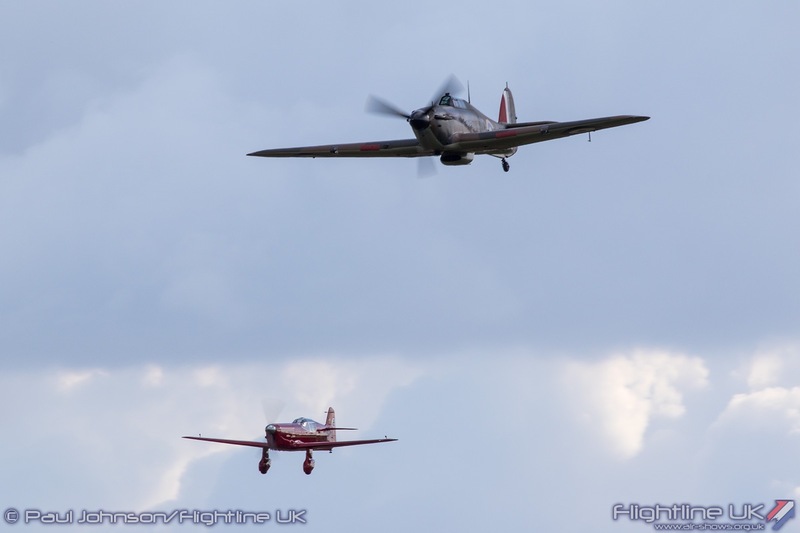 Moments like this are what really set the Shuttleworth Collection displays apart from other air displays. 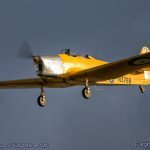 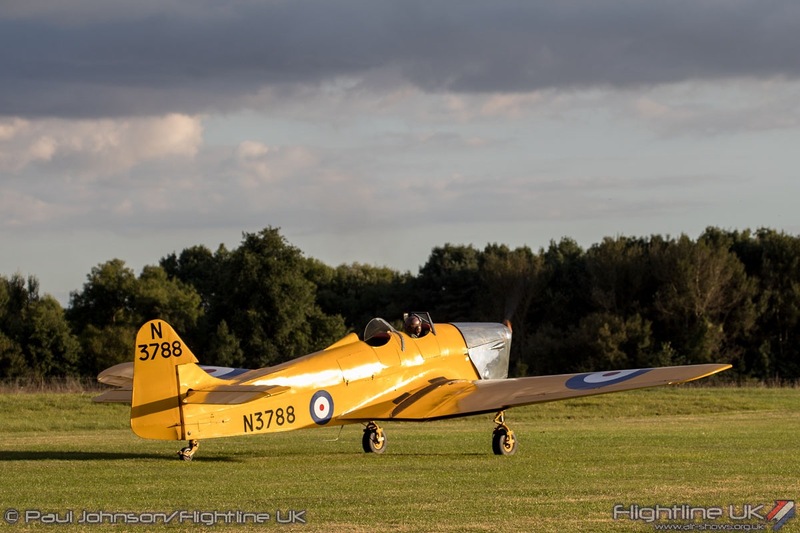 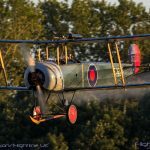 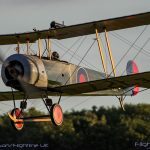 It was a timeless scene, particularly as the aircraft came in to land with the engine being blipped against the wooded backdrop and golden sky. 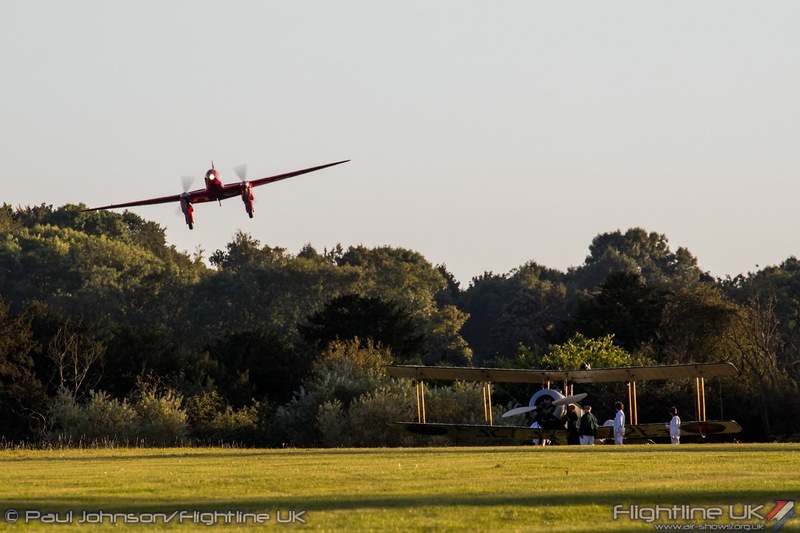 There is no finer location to bring the UK air display season to a close. 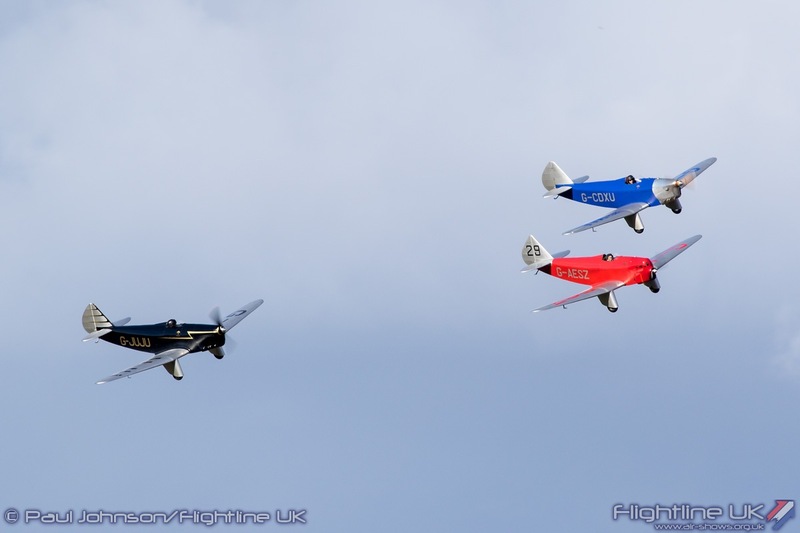 The Race Day and Roaring Twenties Airshow was the perfect finale with some superb flying in classic Old Warden skies. 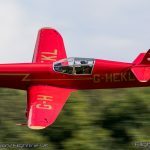 Roll on the 2017 display season.